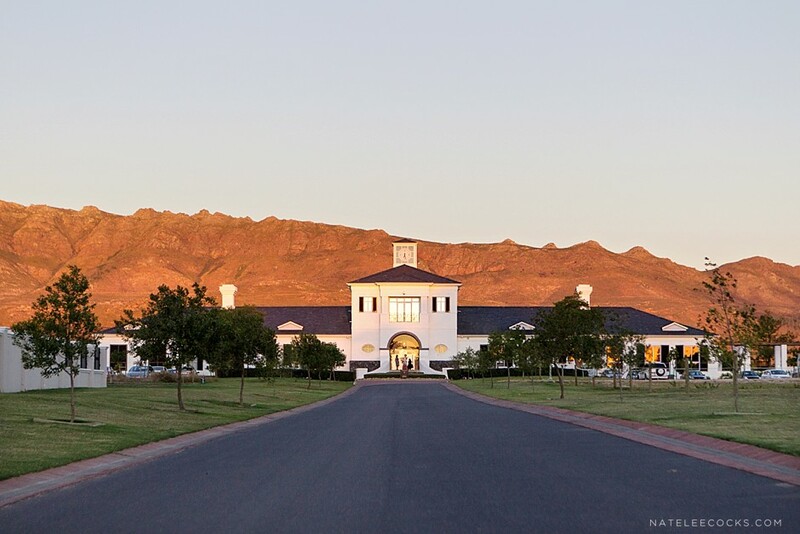 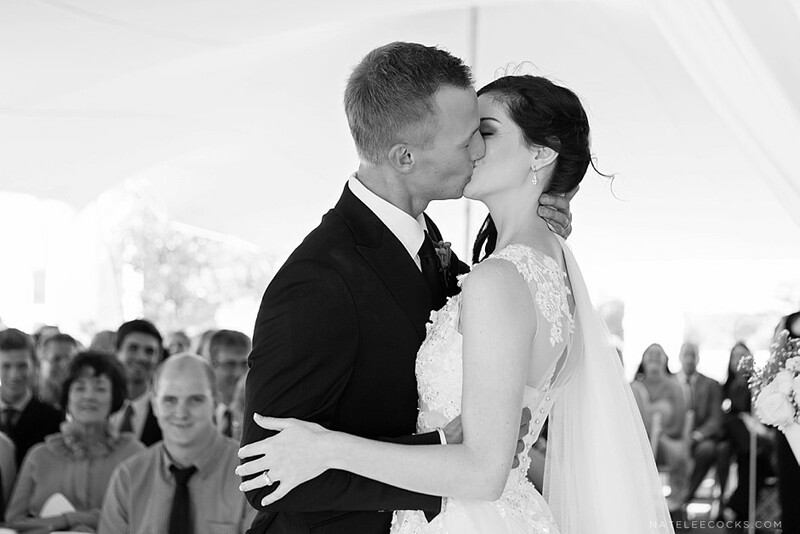 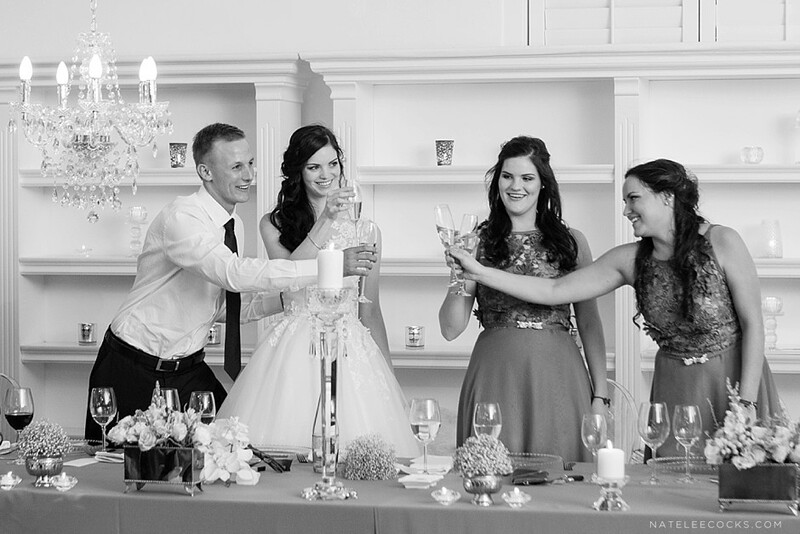 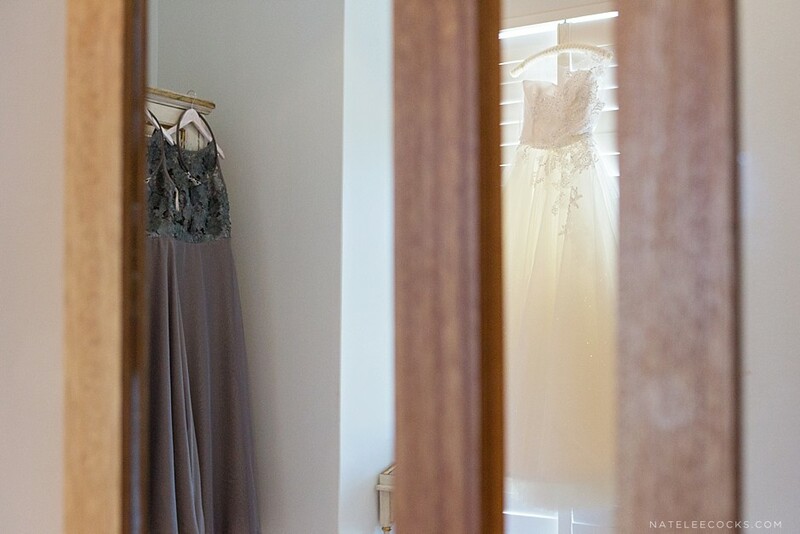 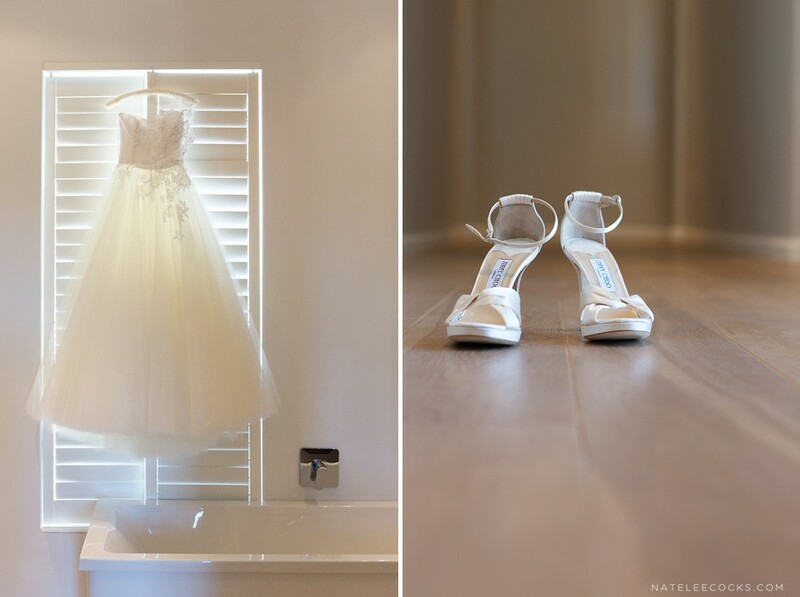 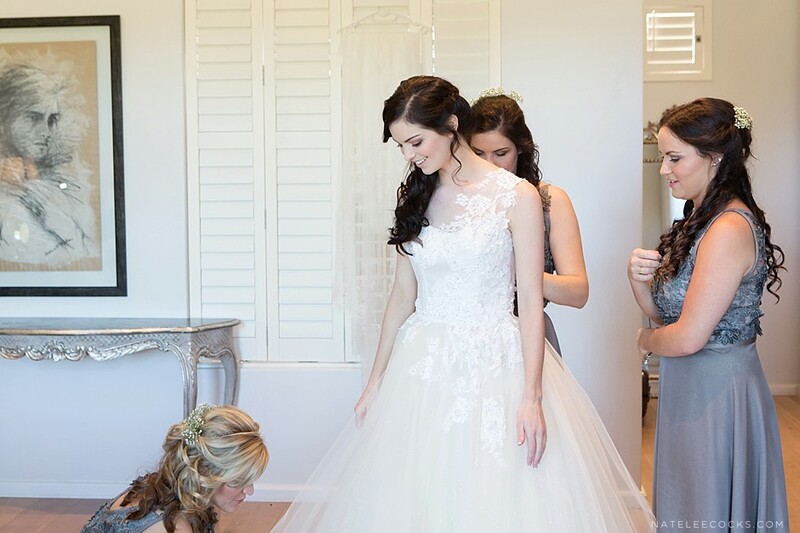 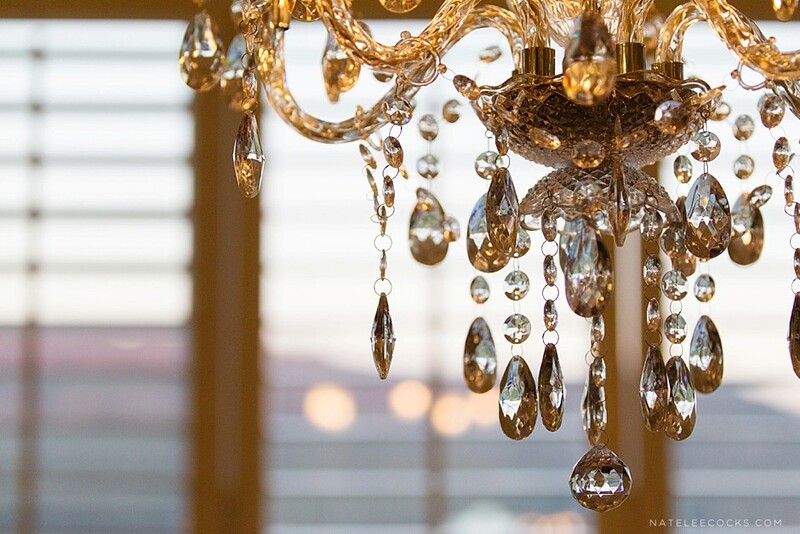 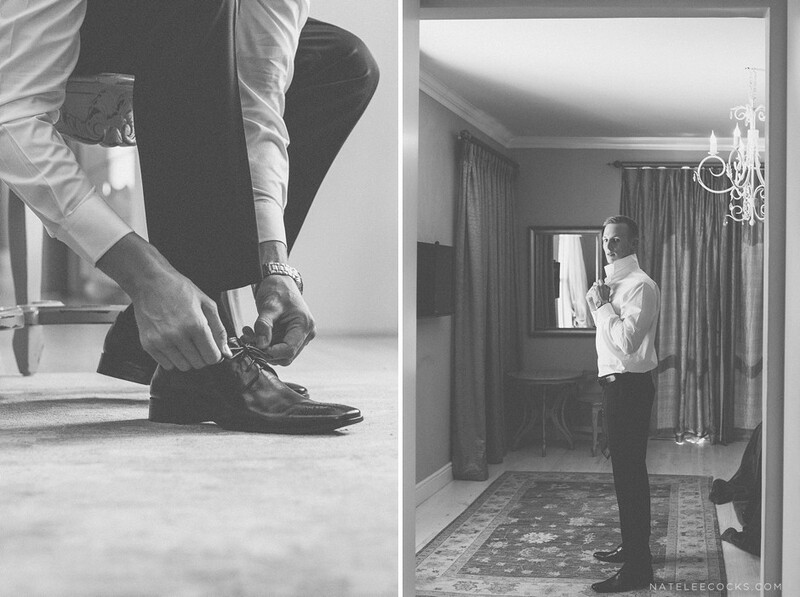 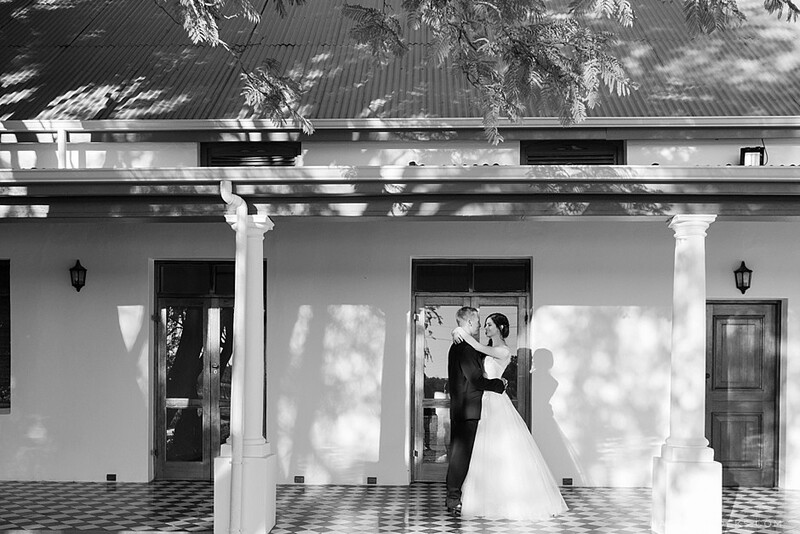 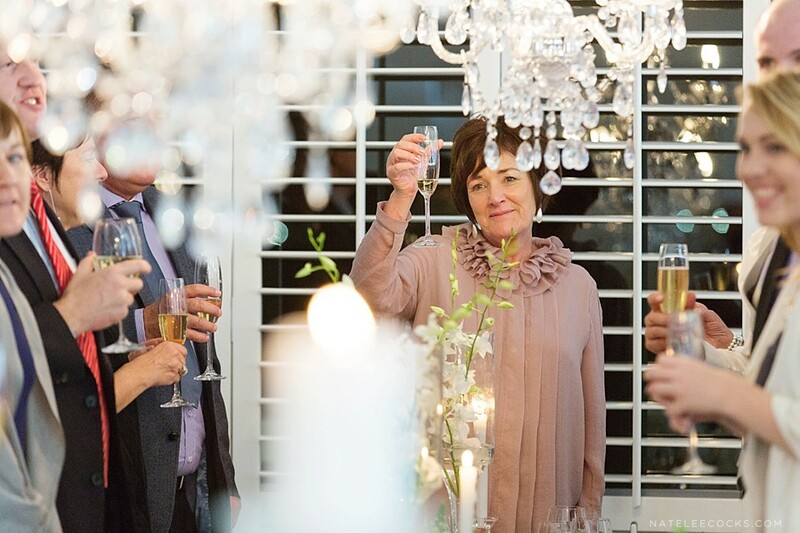 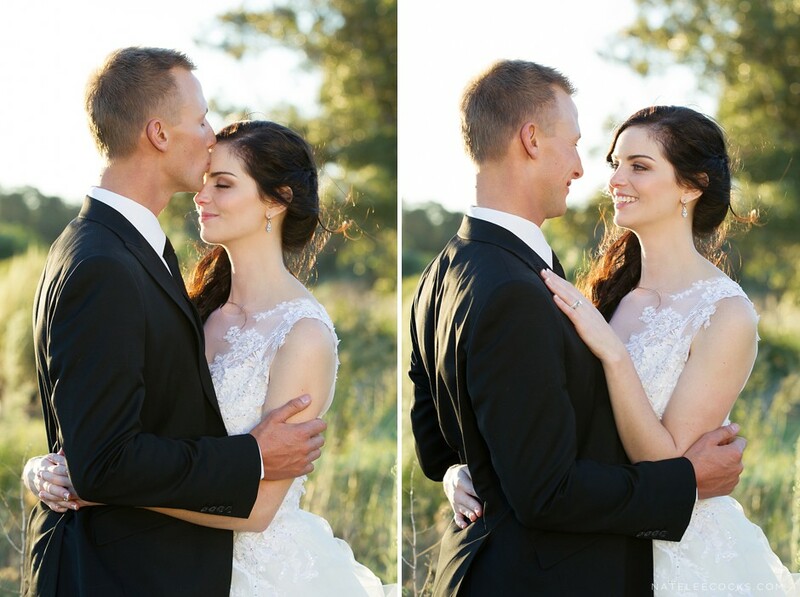 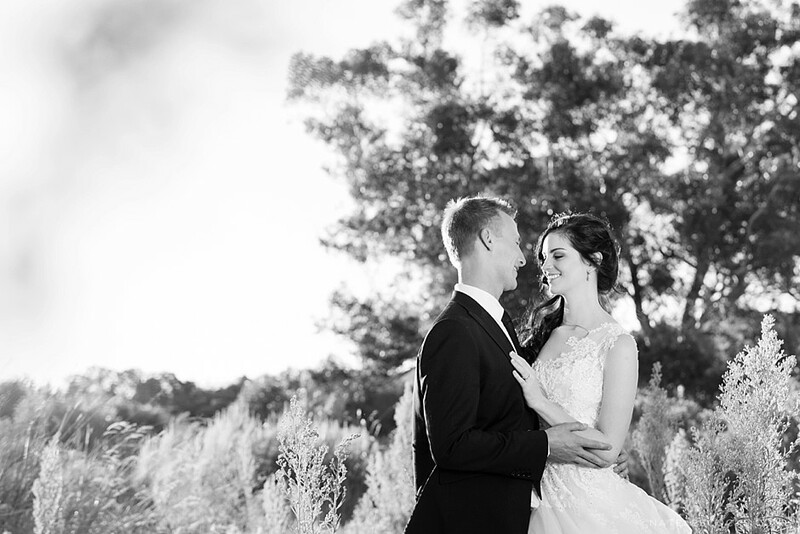 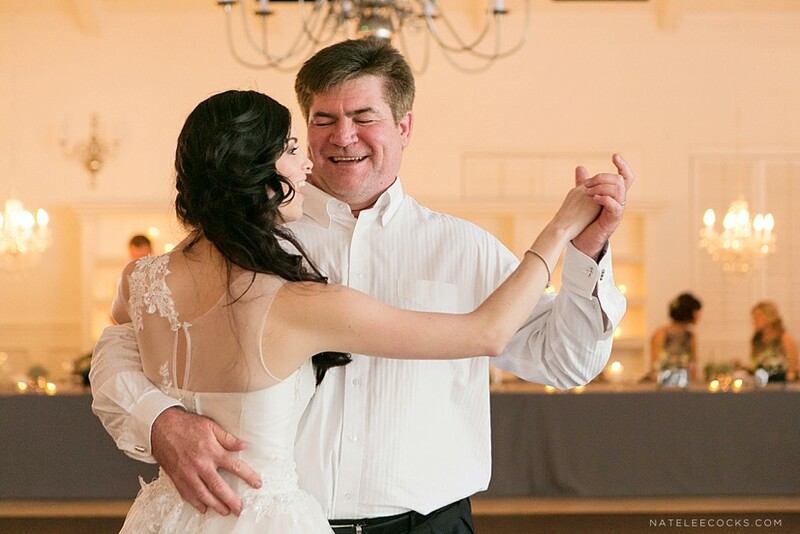 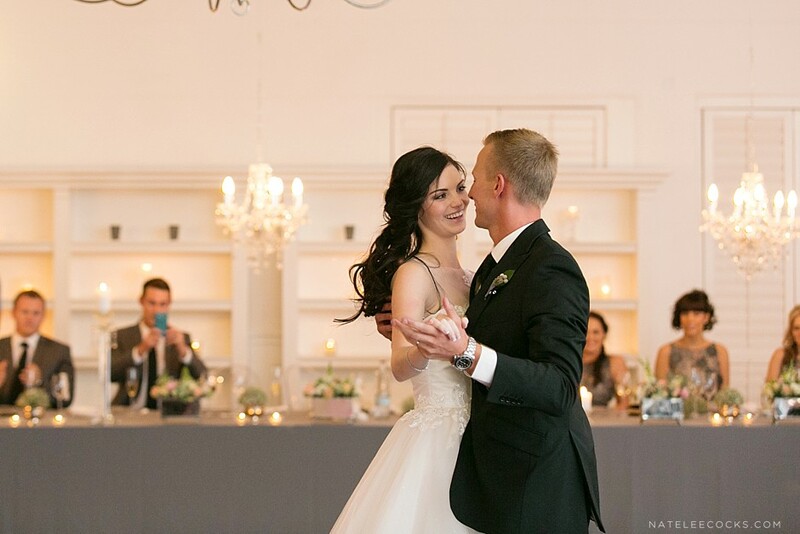 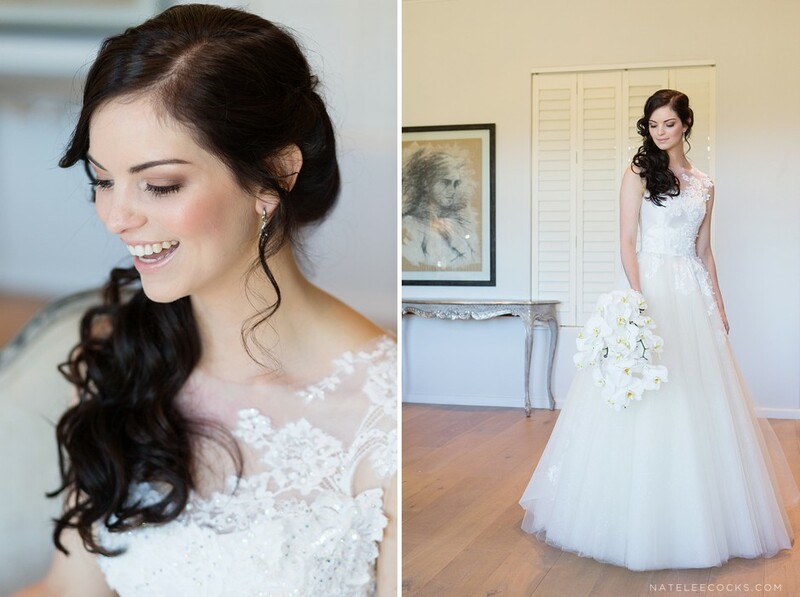 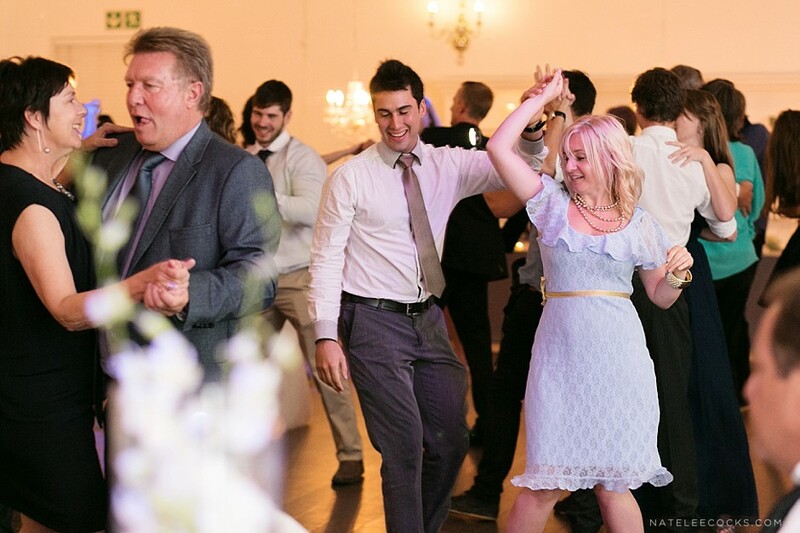 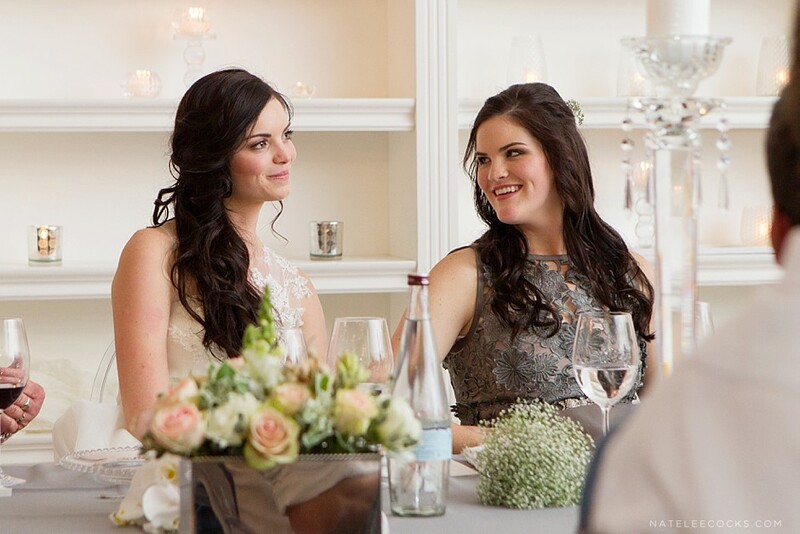 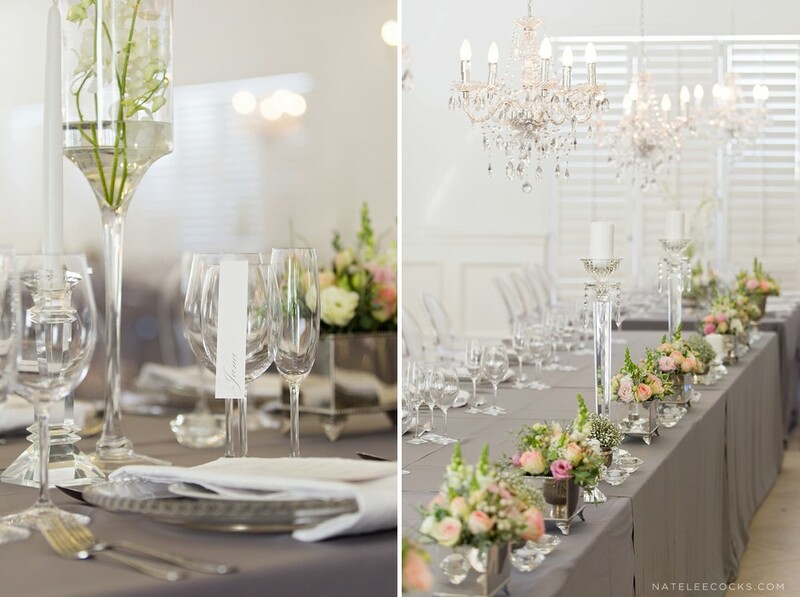 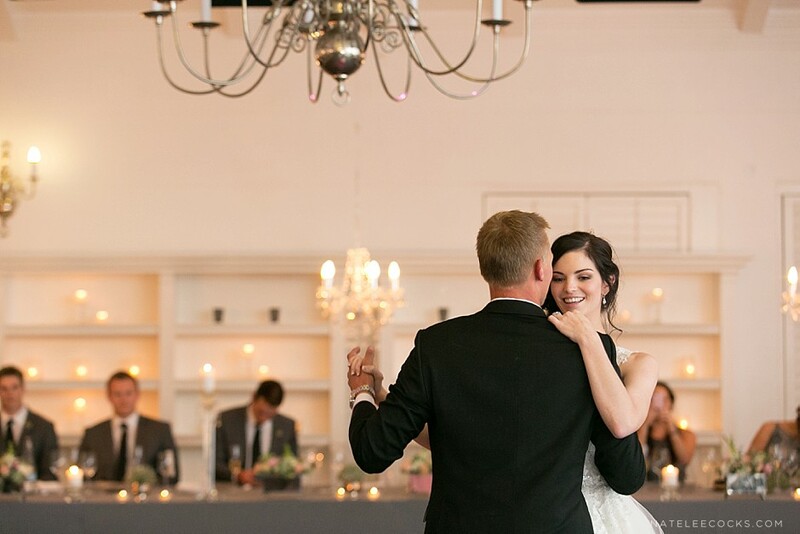 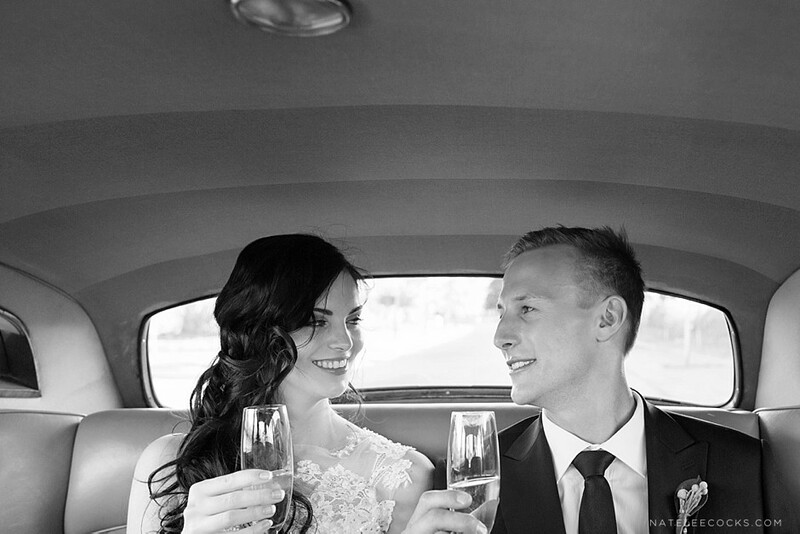 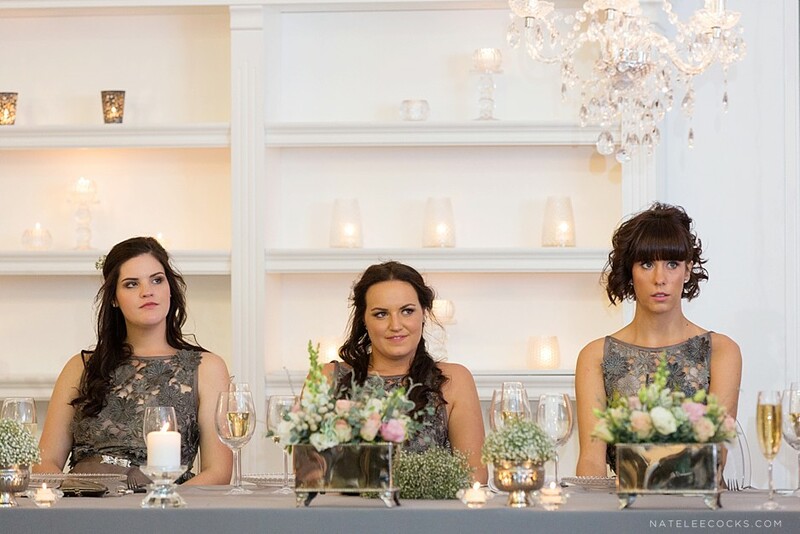 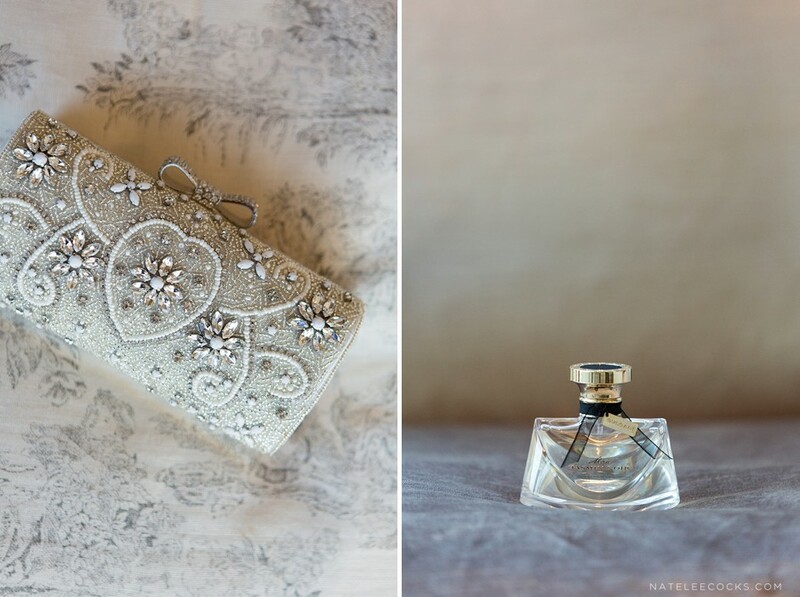 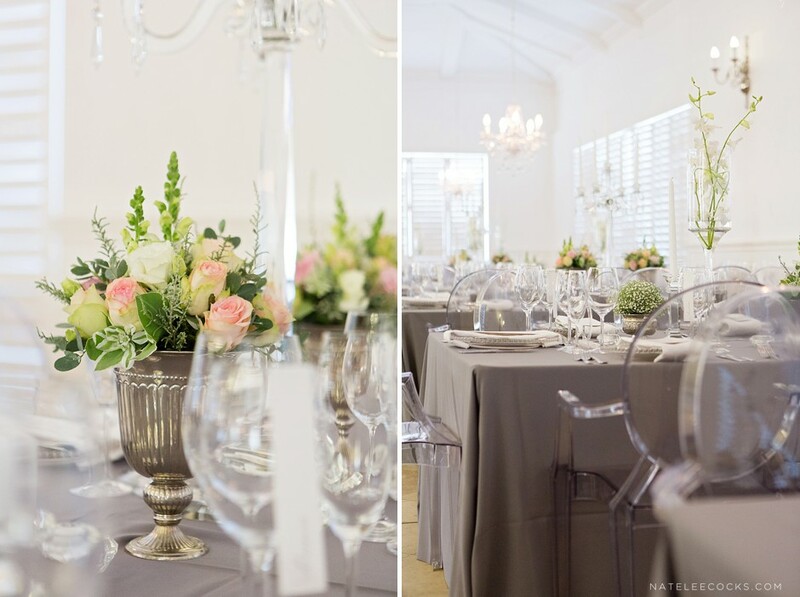 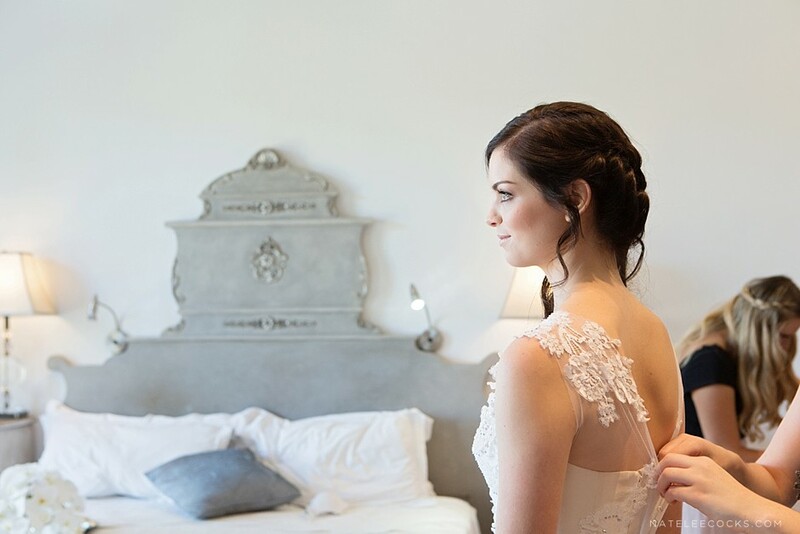 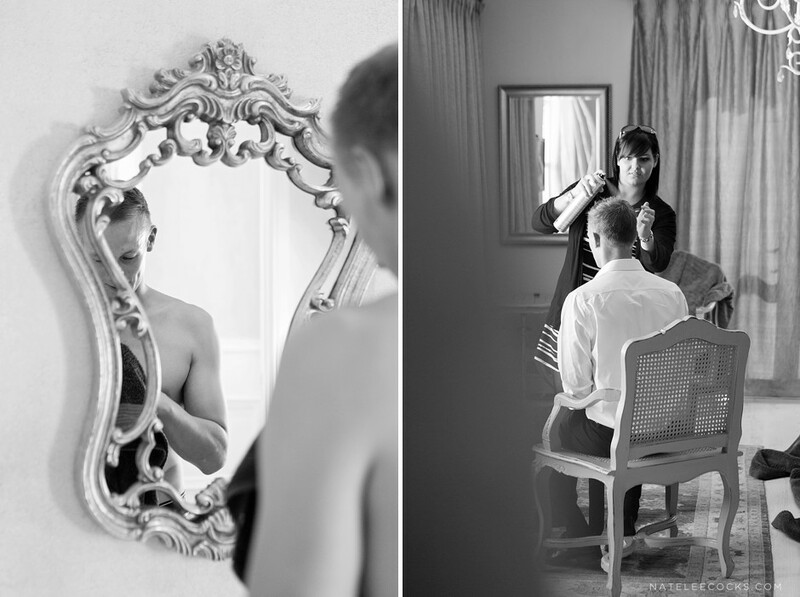 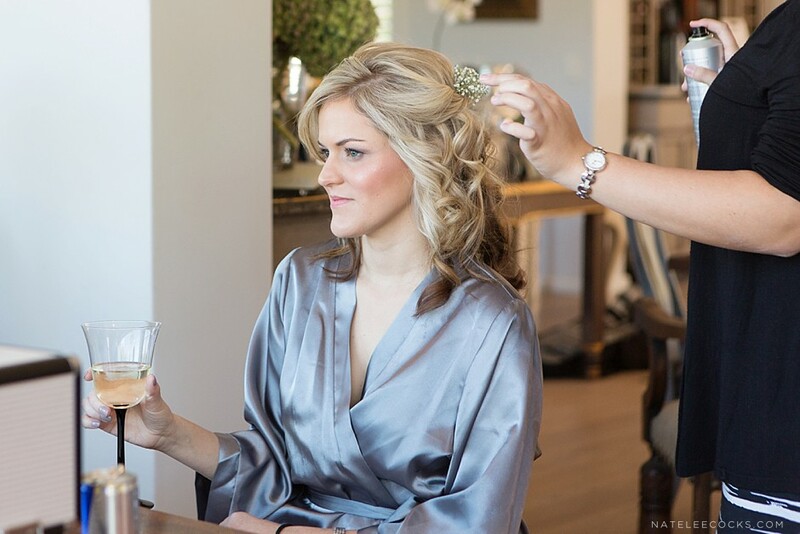 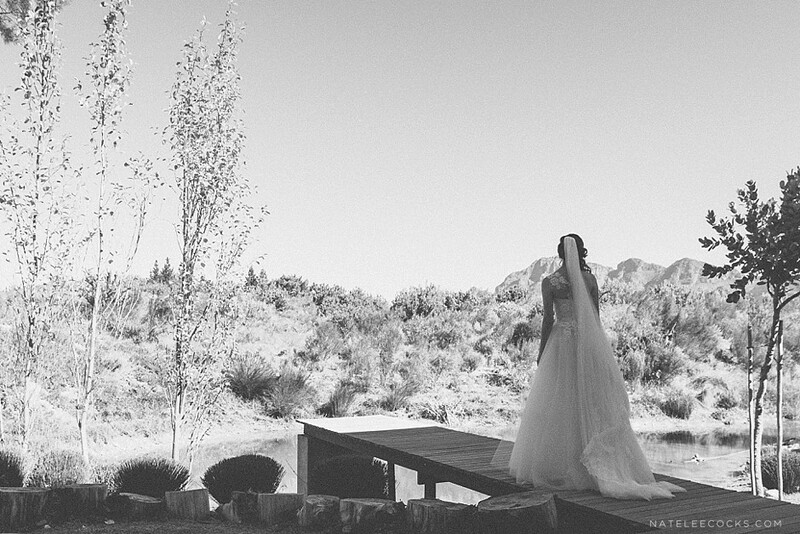 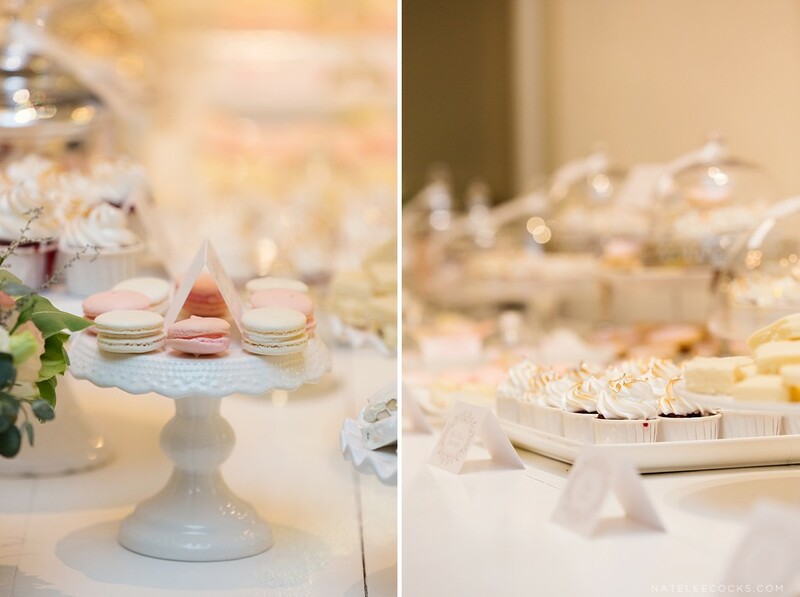 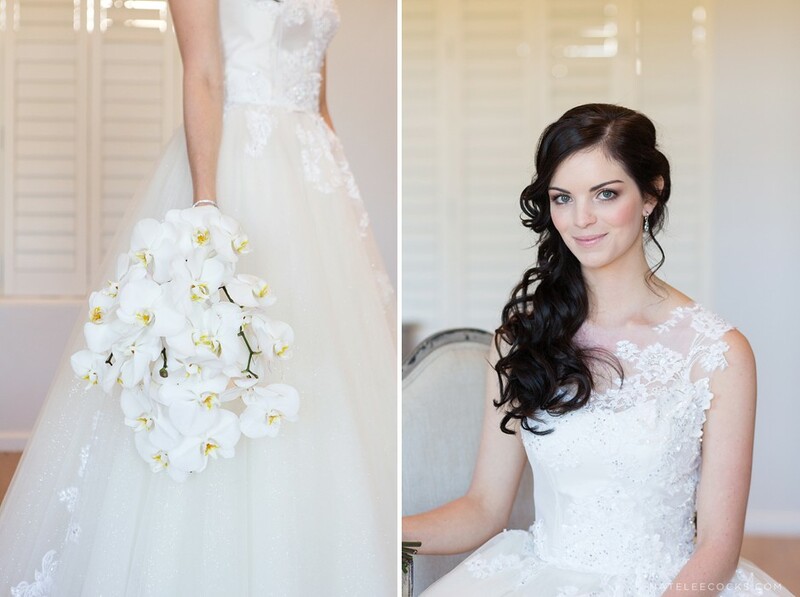 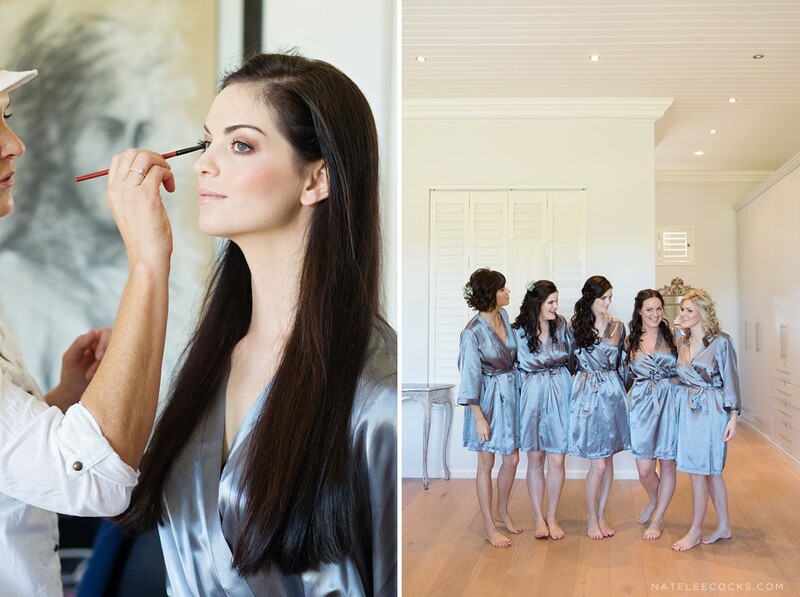 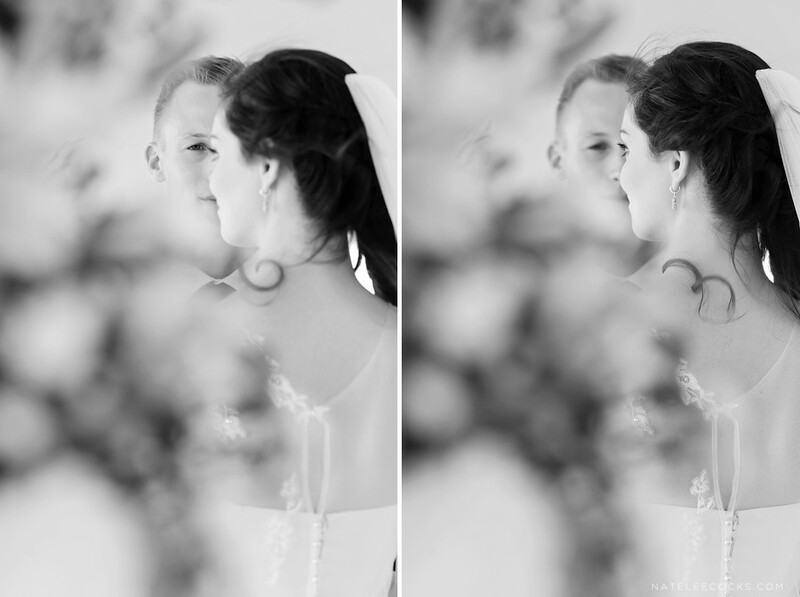 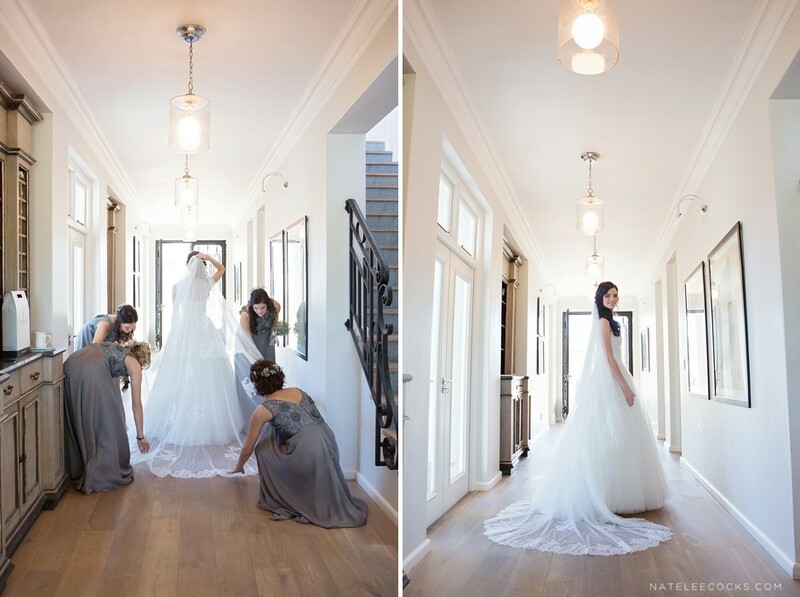 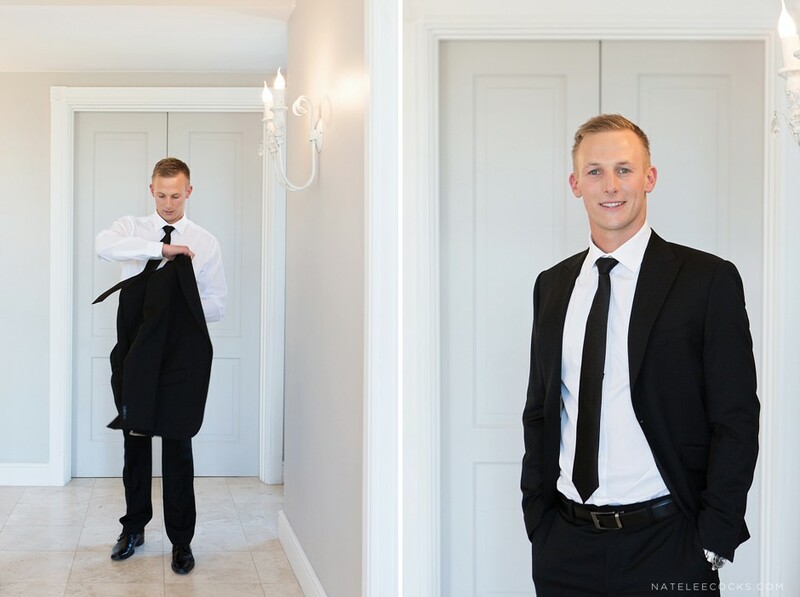 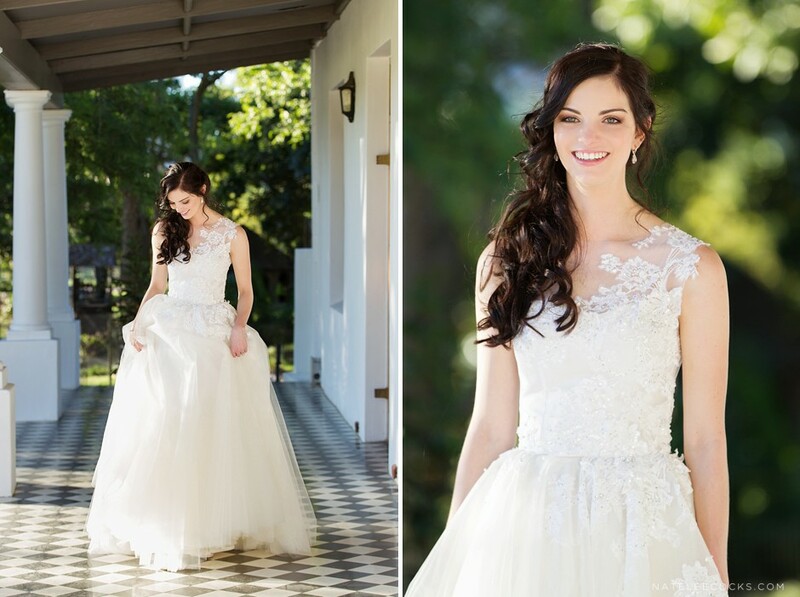 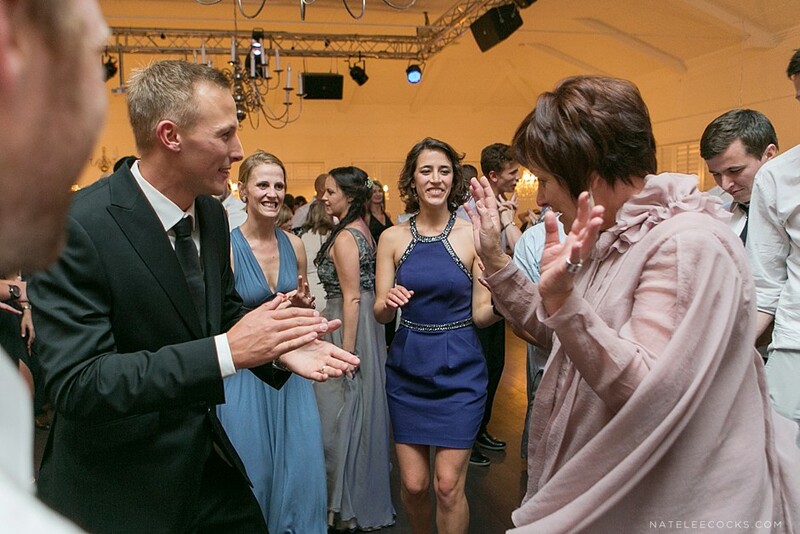 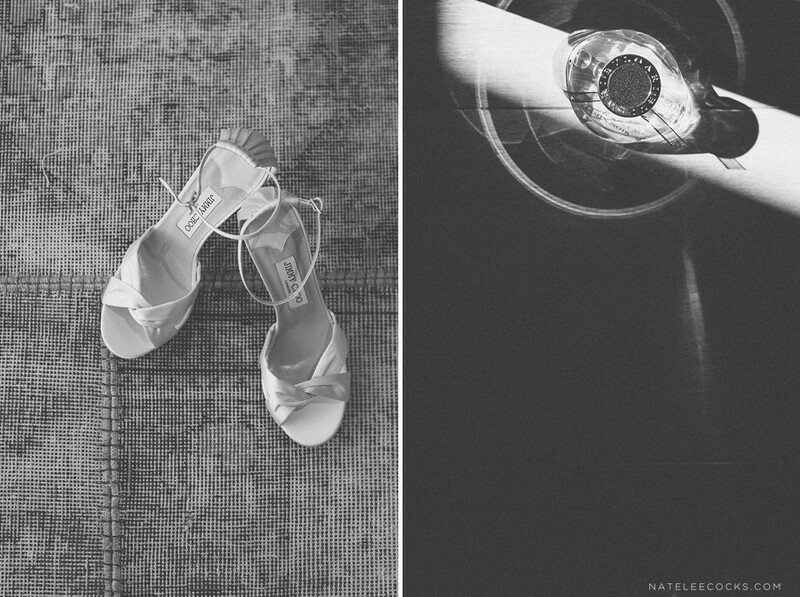 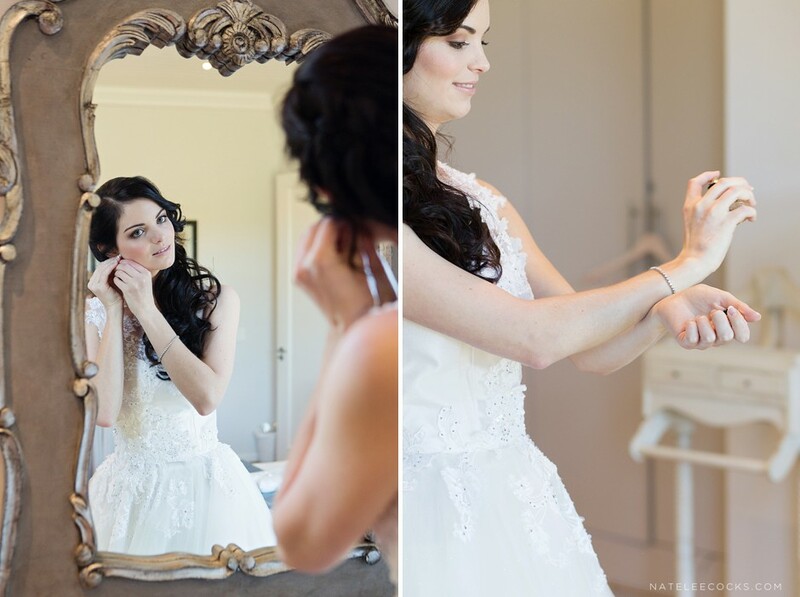 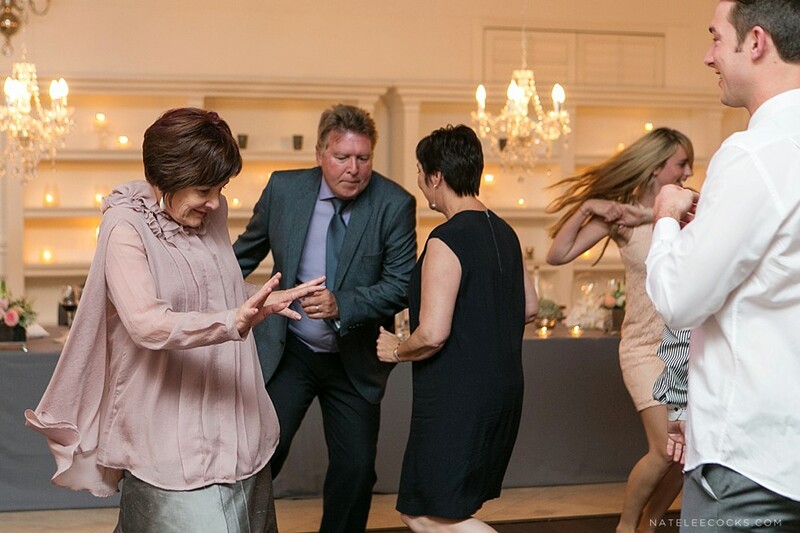 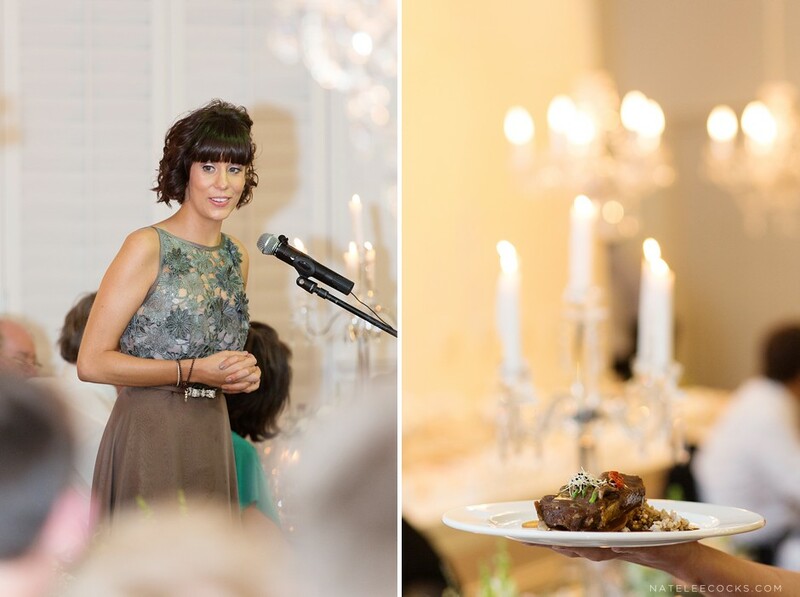 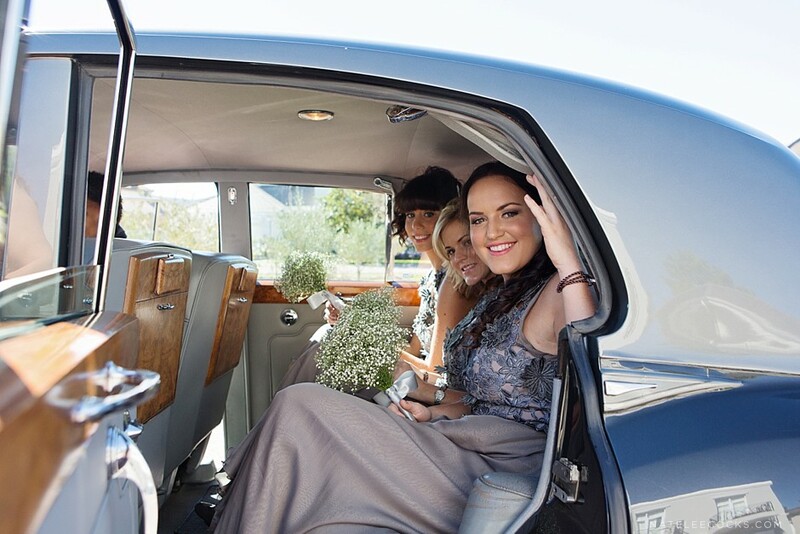 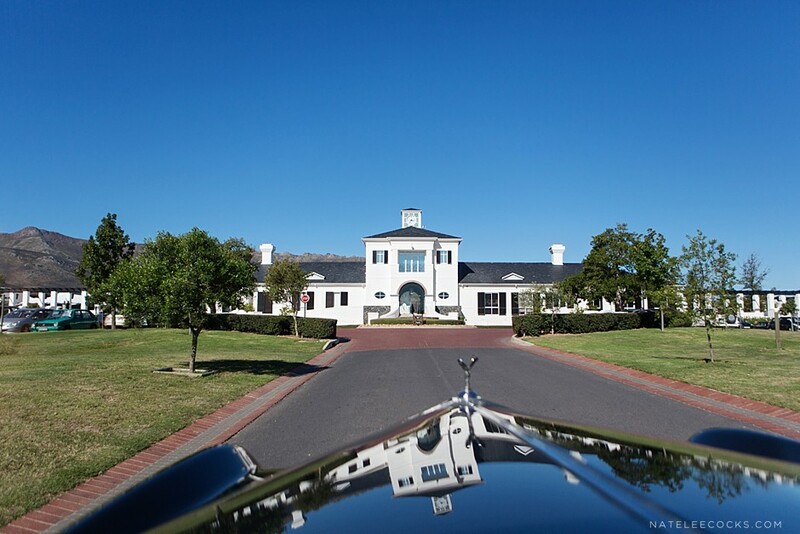 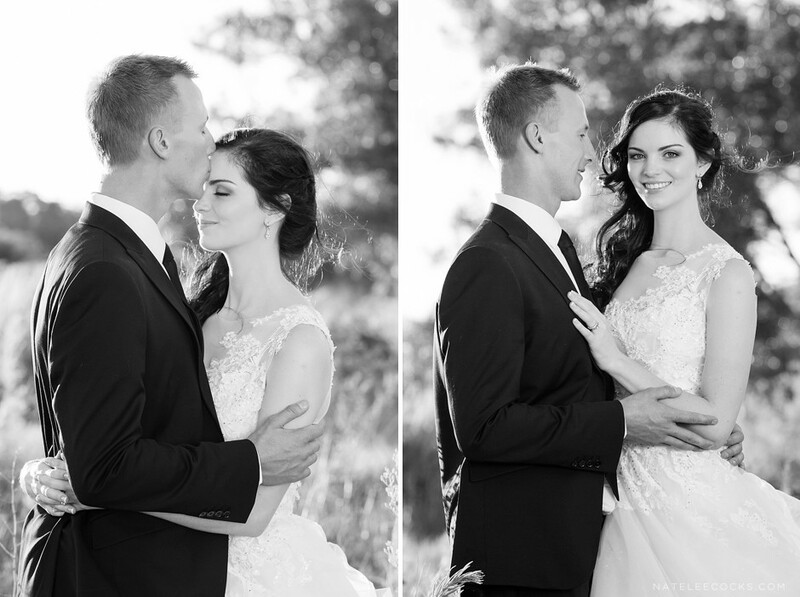 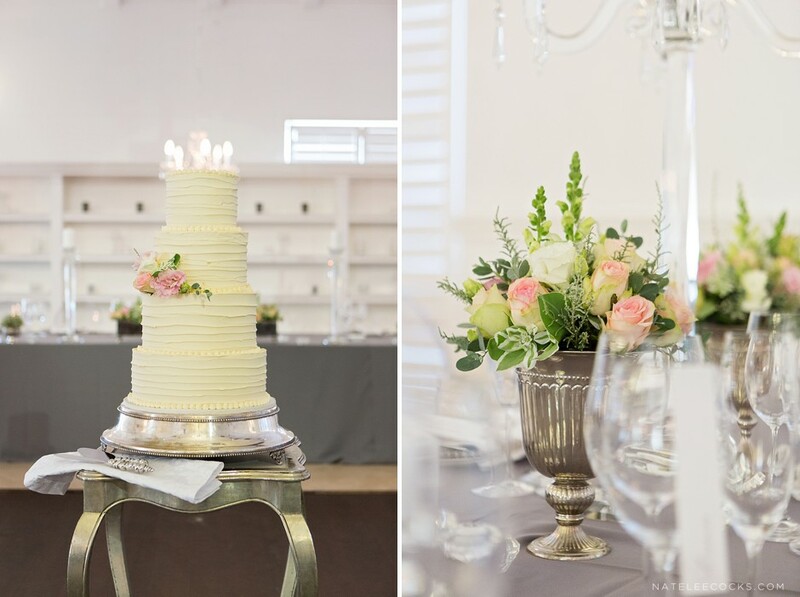 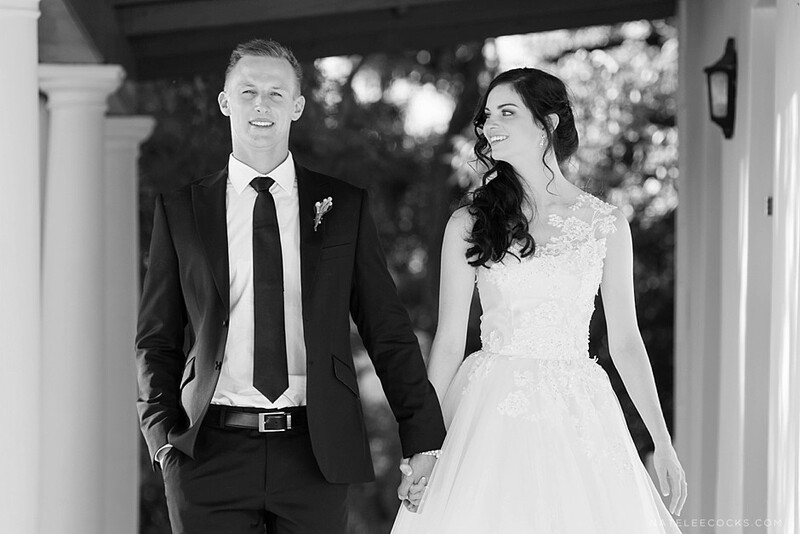 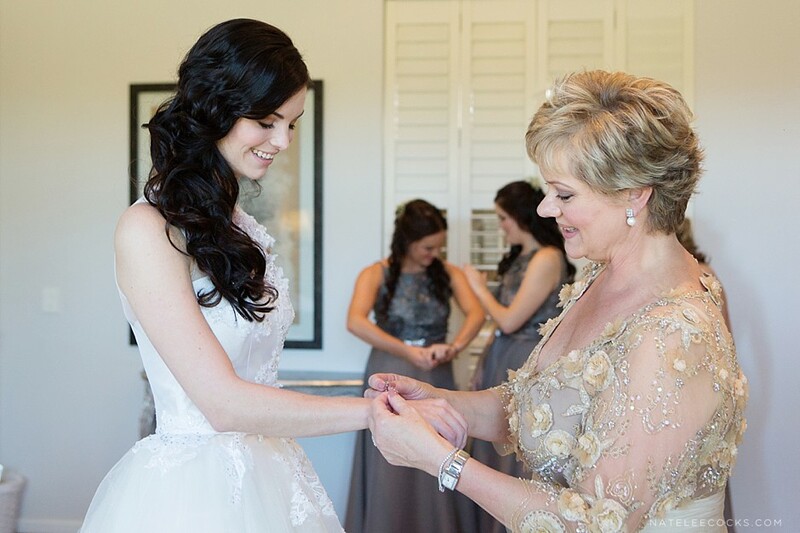 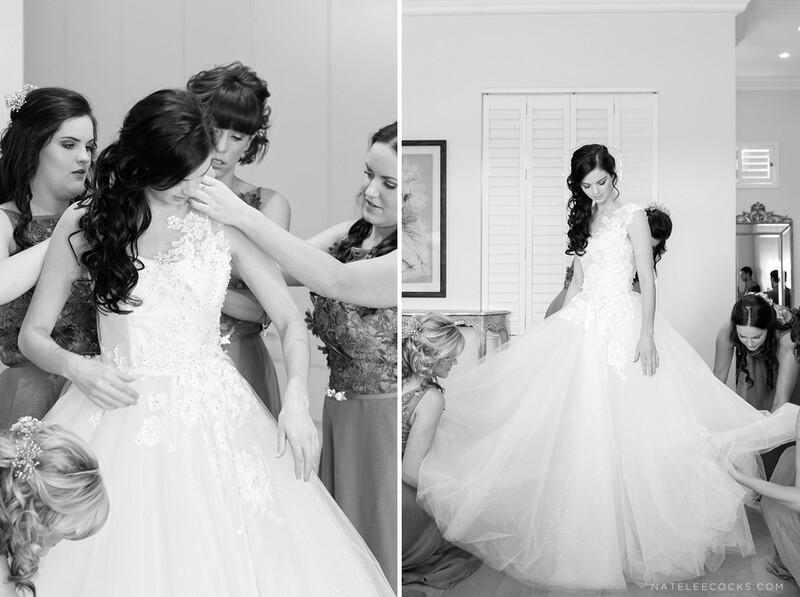 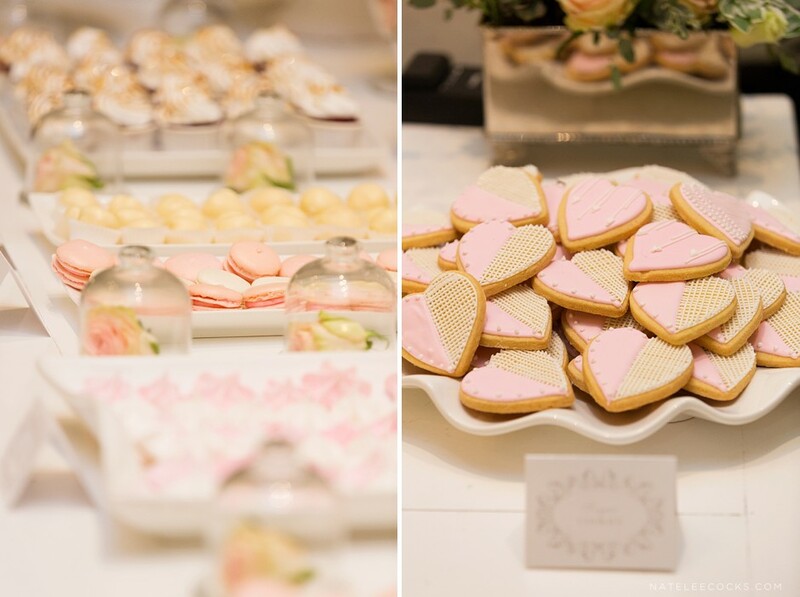 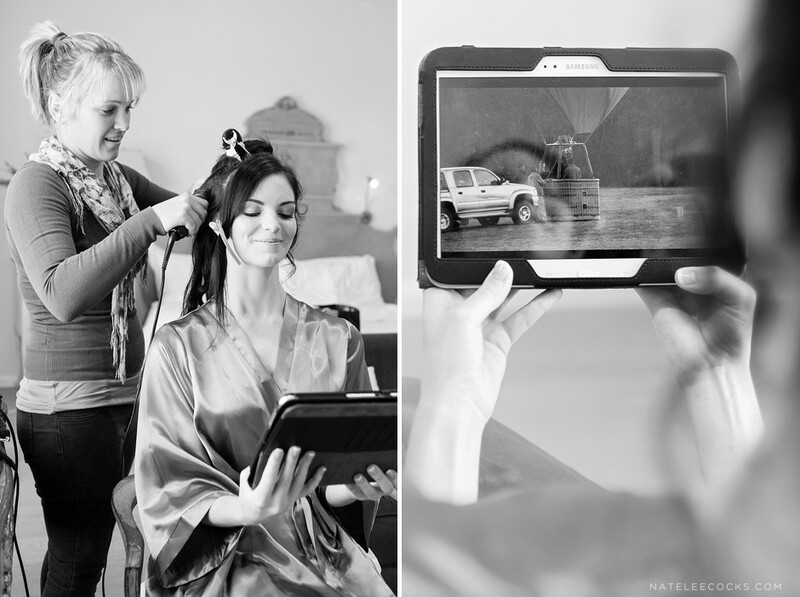 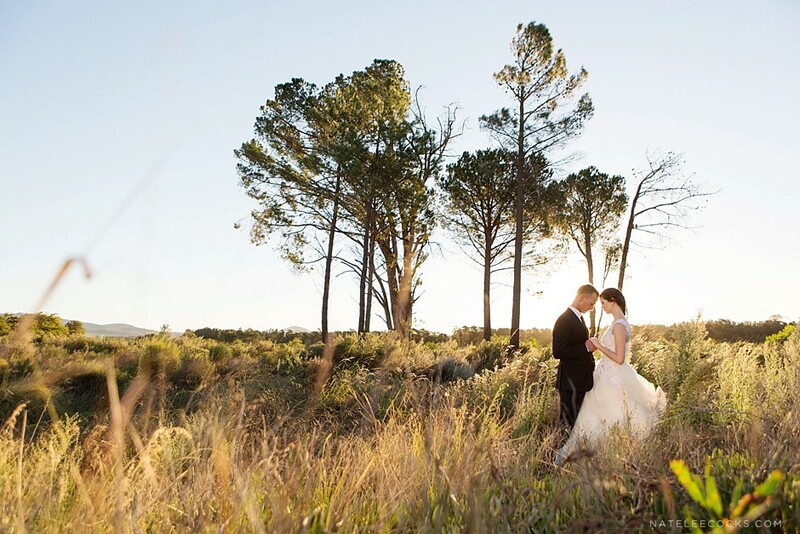 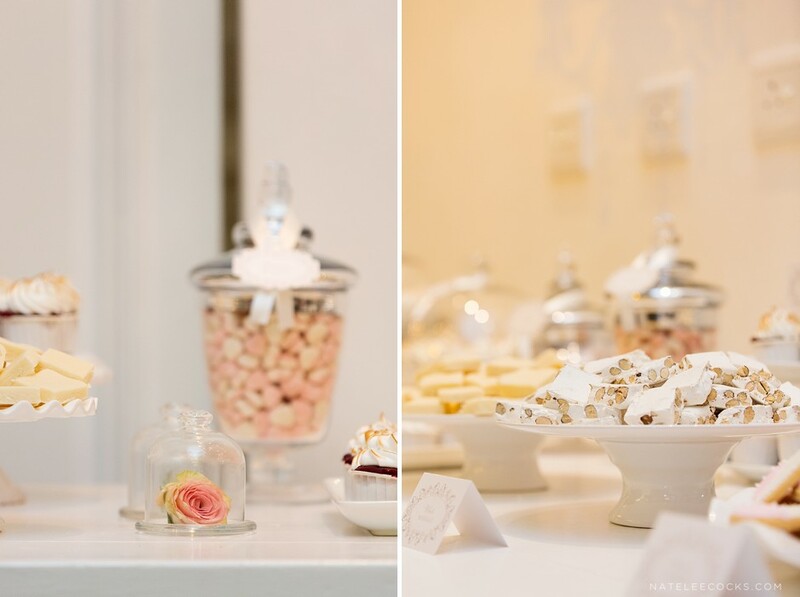 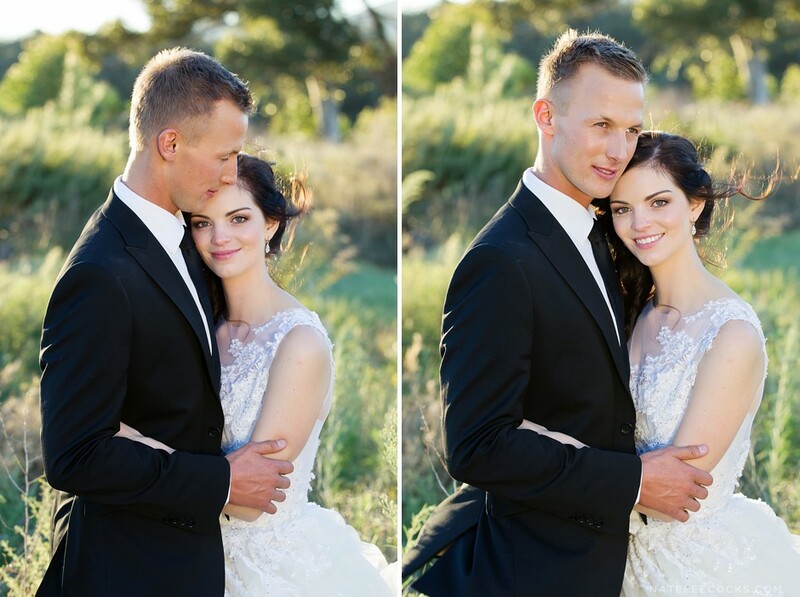 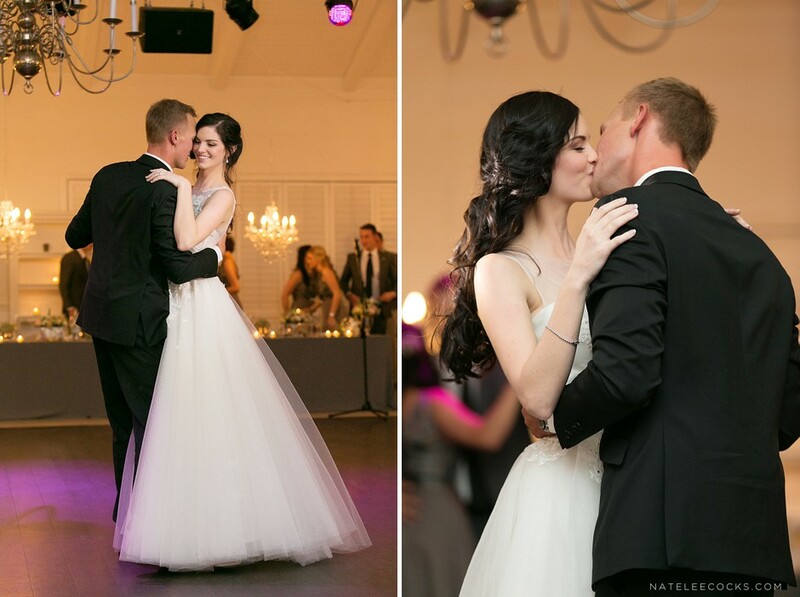 Kara & Dirk’s dream VAL DE VIE Wedding – If you remember Kara & Dirk’s HELDERBERG ENGAGEMENT you’ll know that they were the lucky couple that won the SA Wedding Show’s, Win a Wedding. 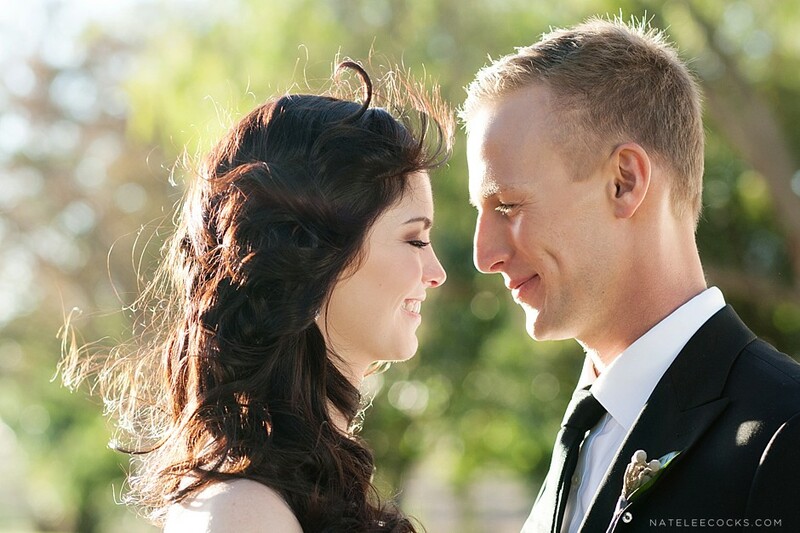 Kara & Dirk are beautiful people inside and out! 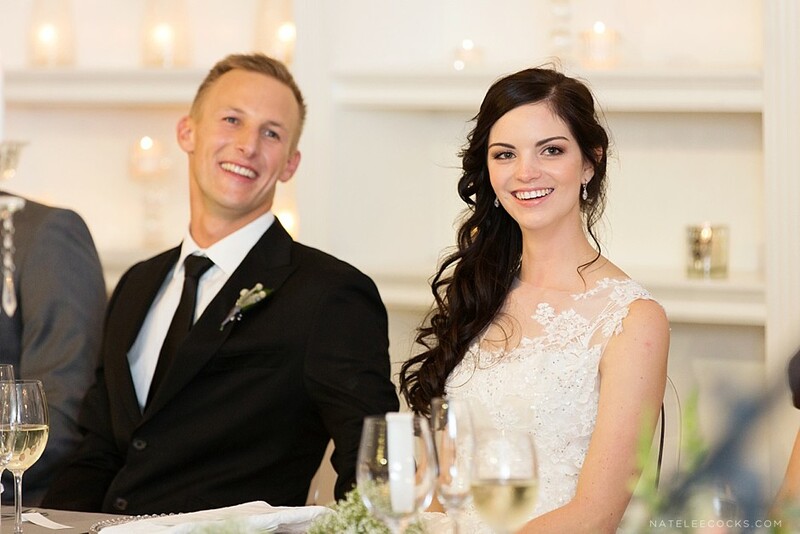 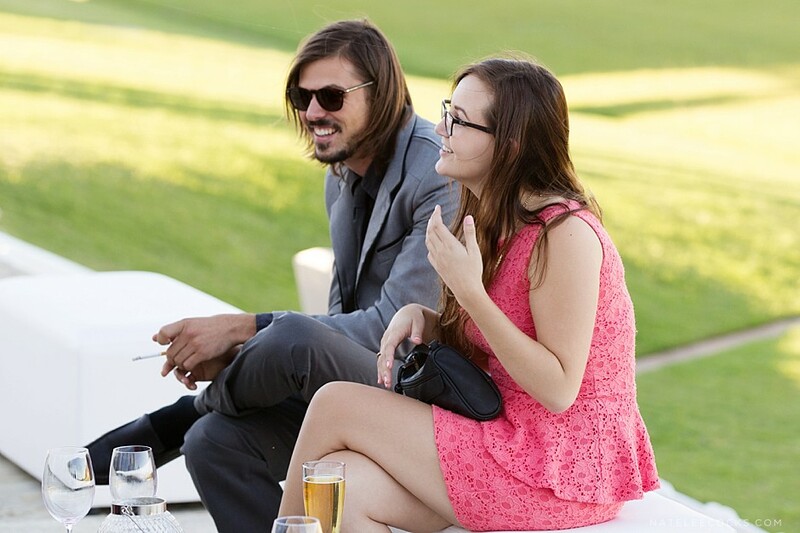 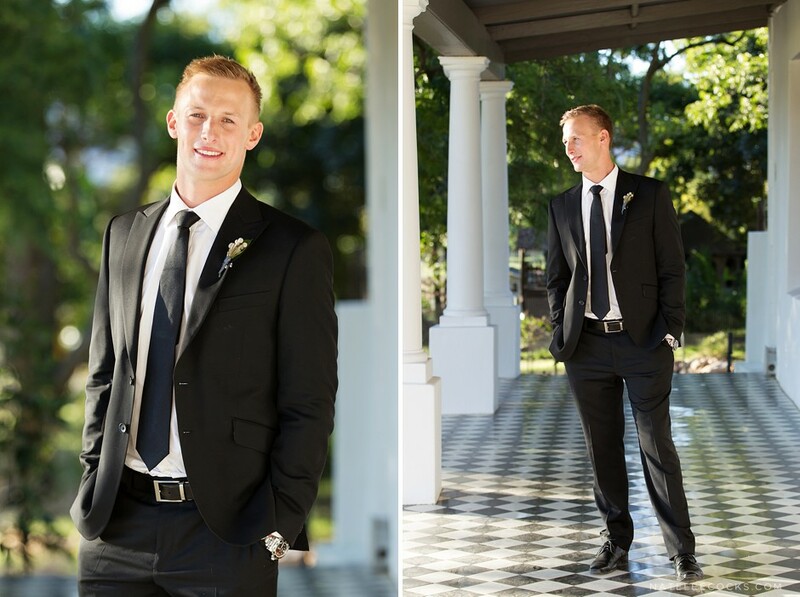 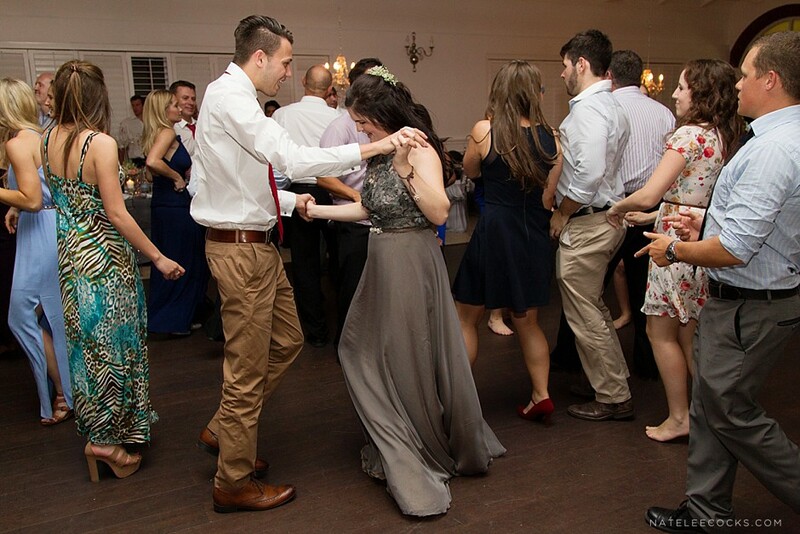 The couple met at school, but their romance started blossoming while studying at the University of Stellenbosch. 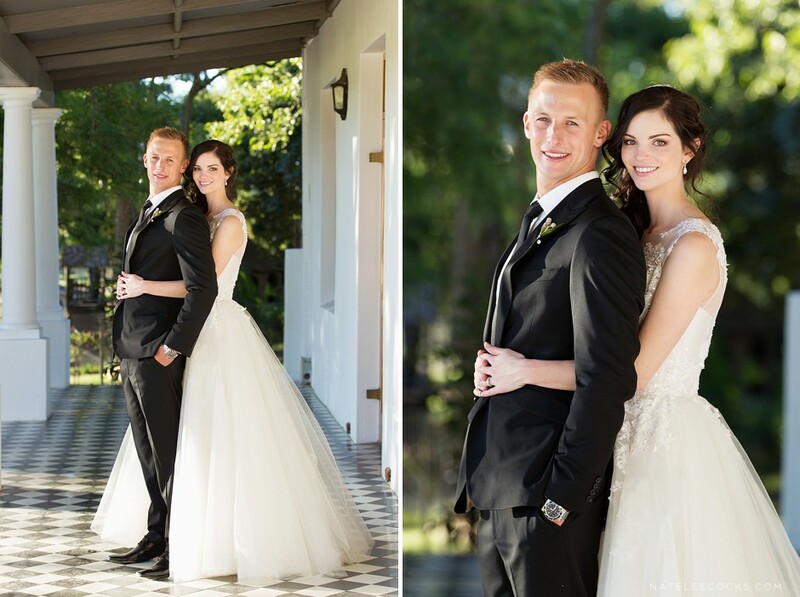 Both are born and bred Gautengers, but always knew they wanted their special day to play off in the Winelands. 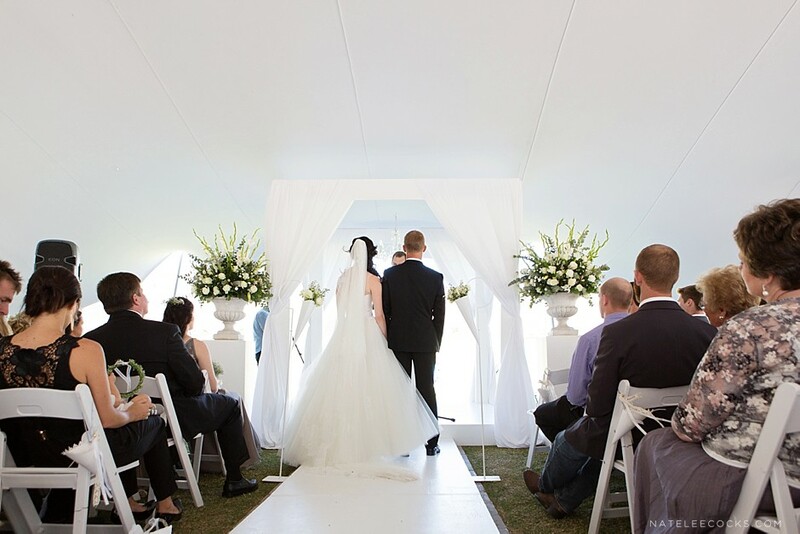 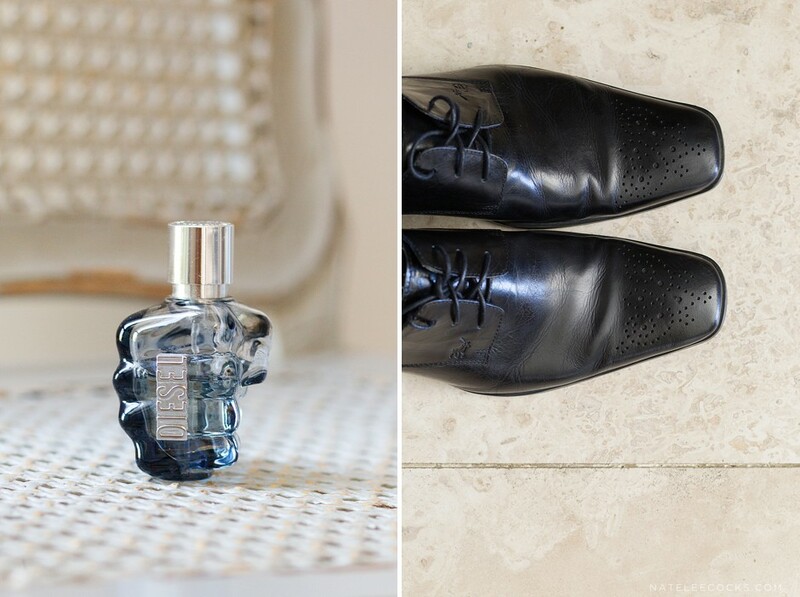 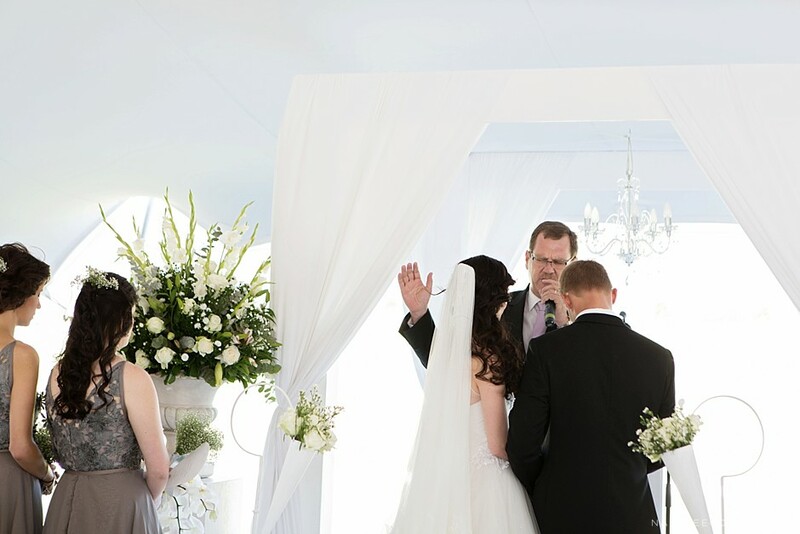 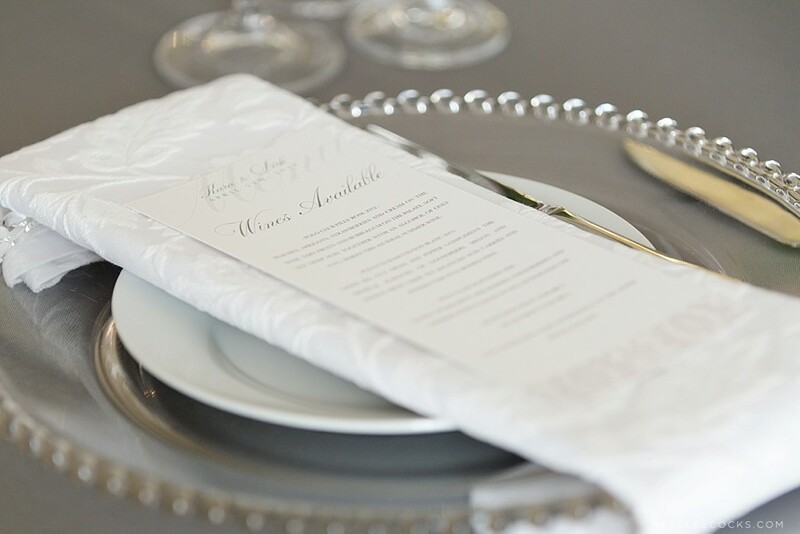 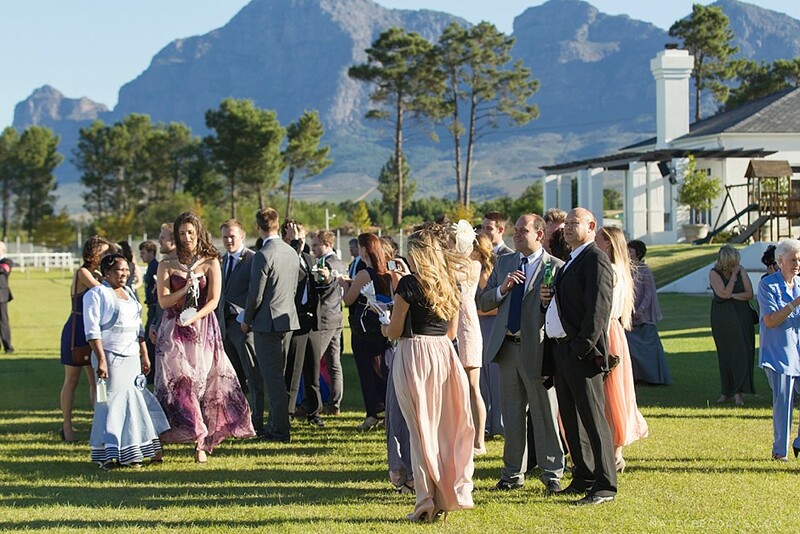 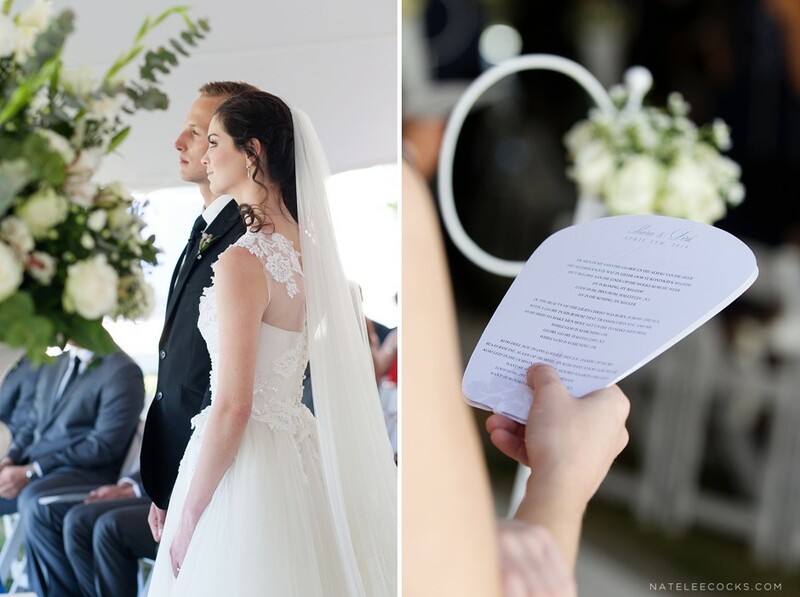 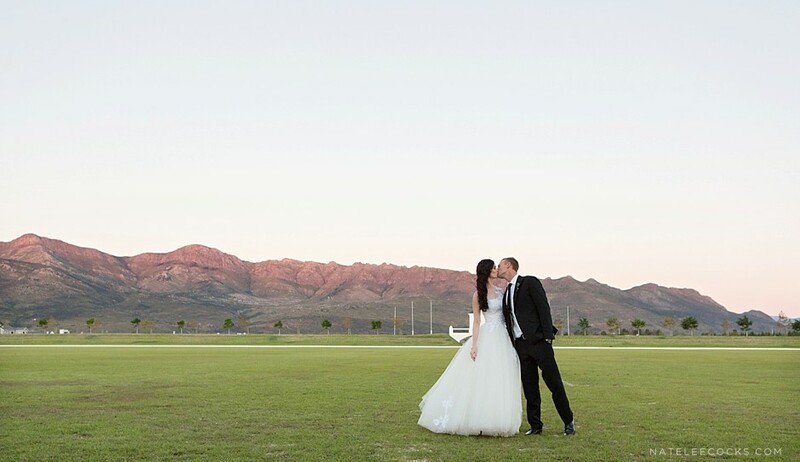 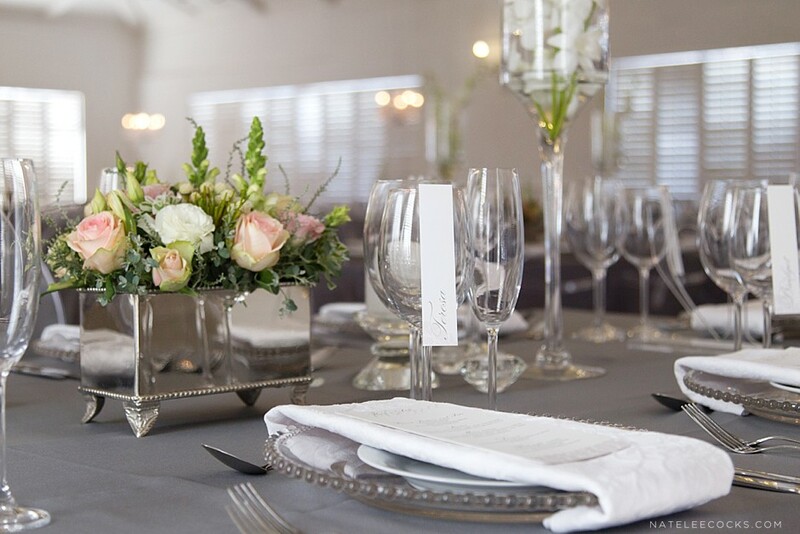 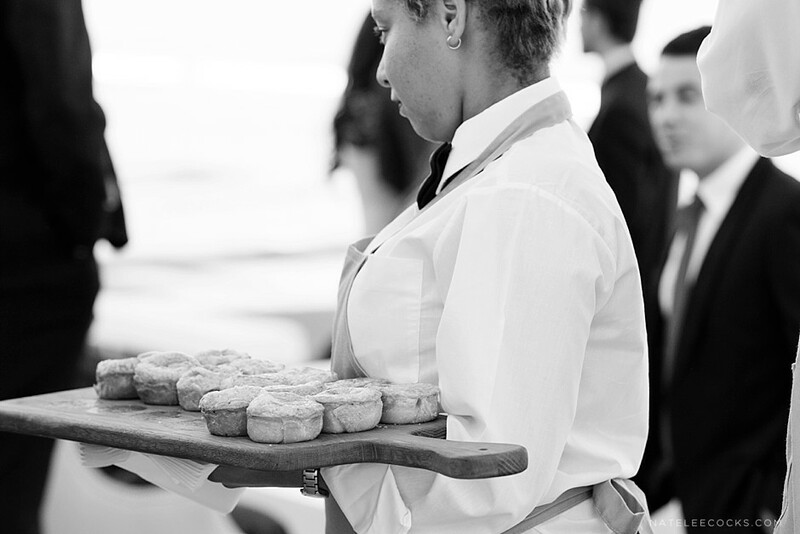 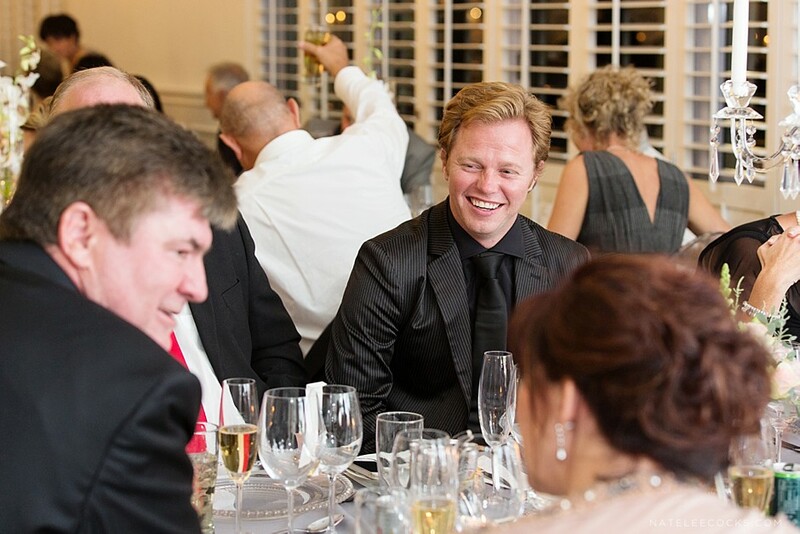 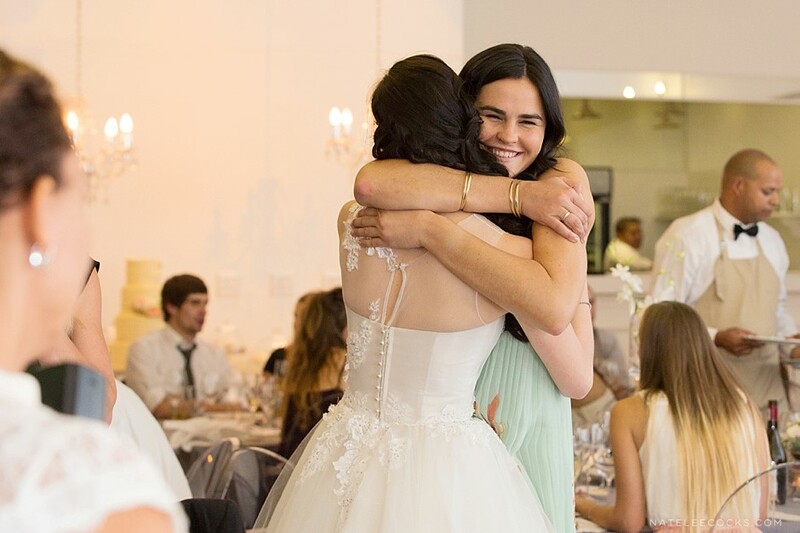 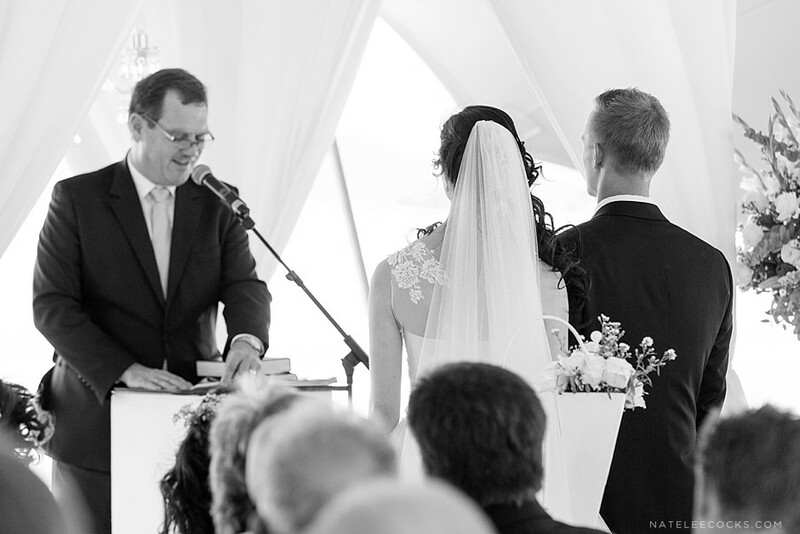 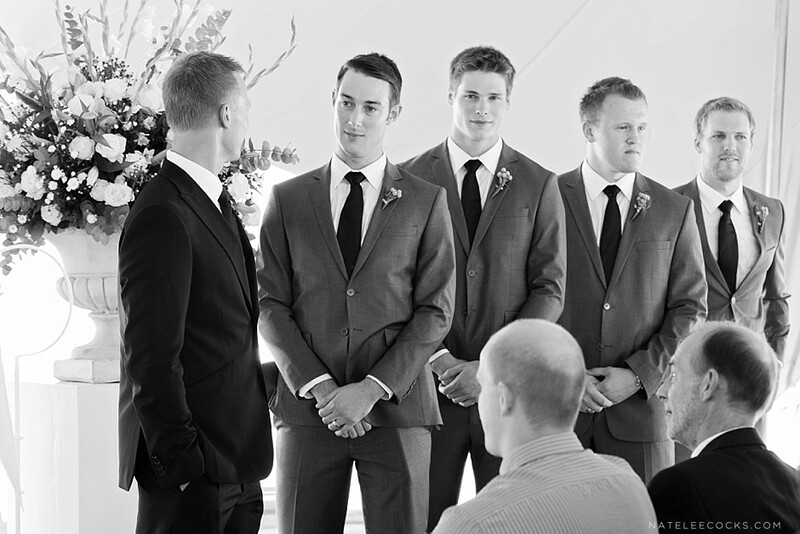 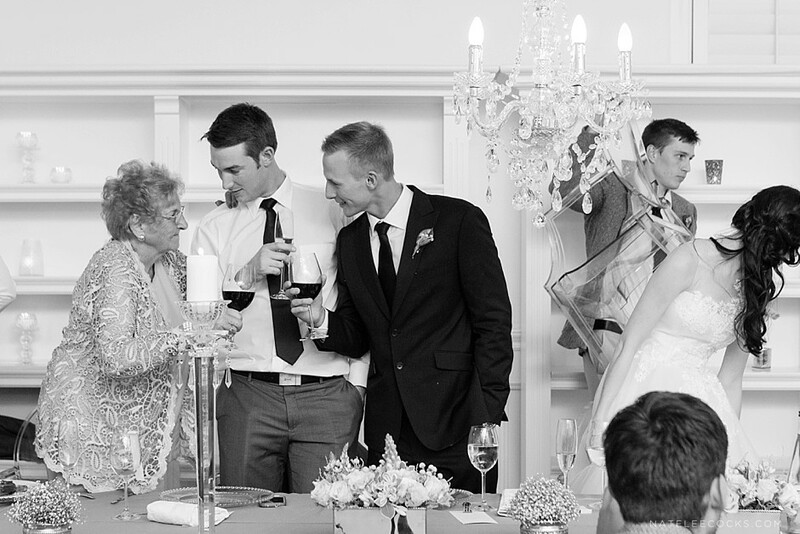 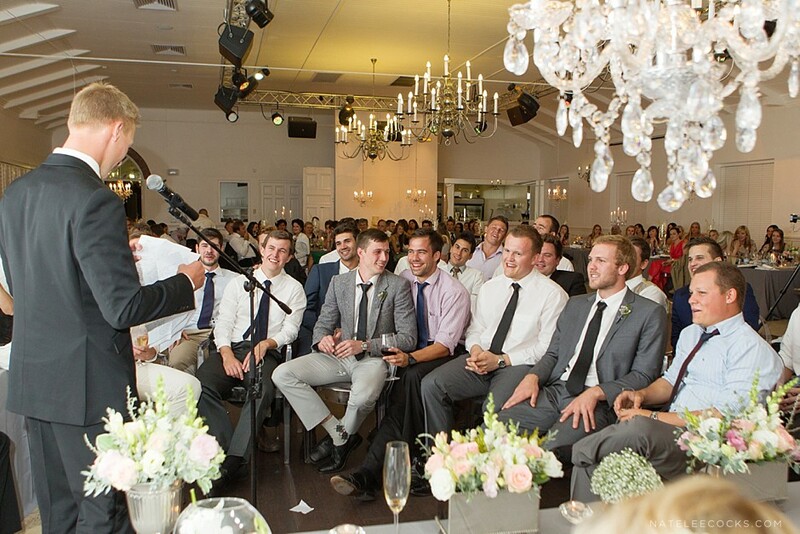 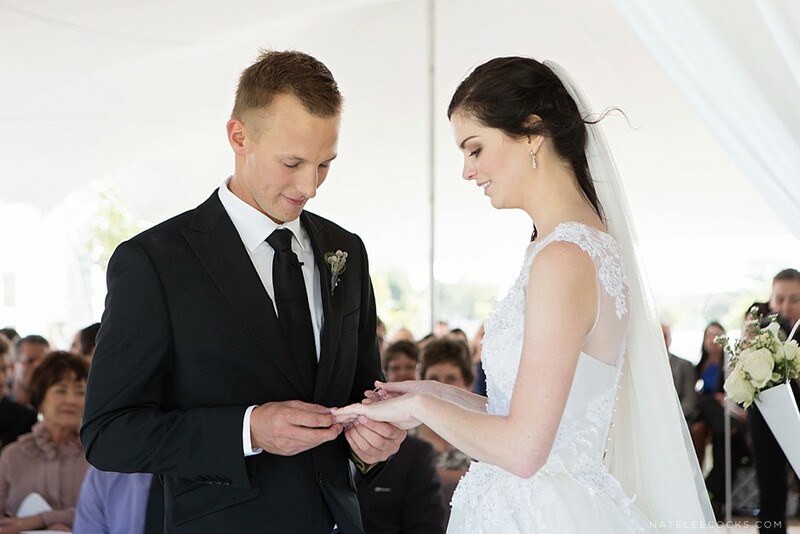 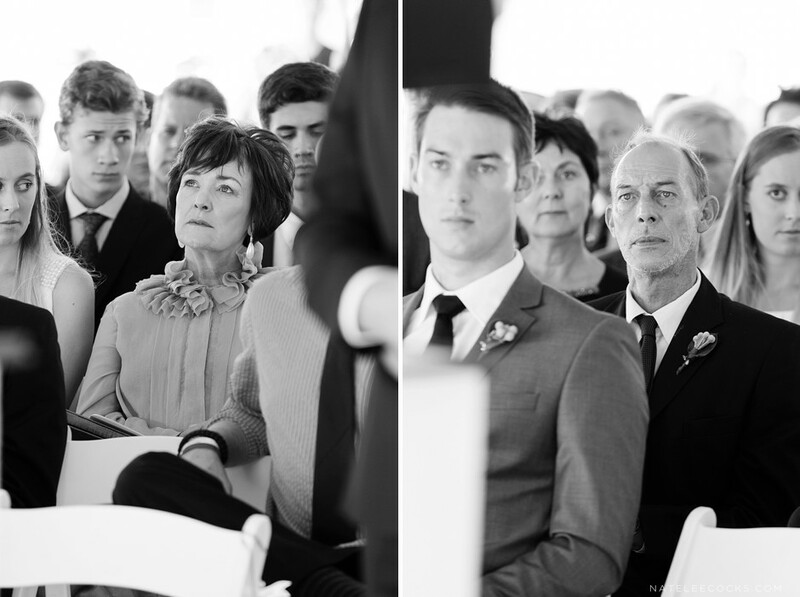 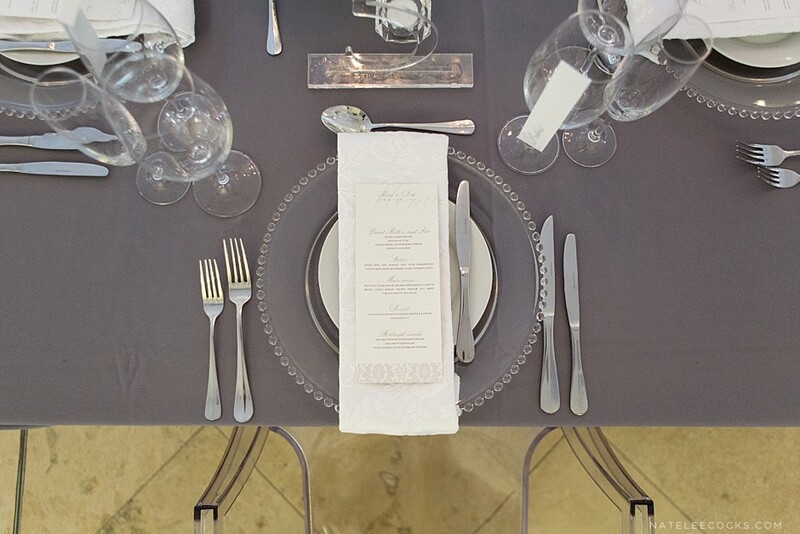 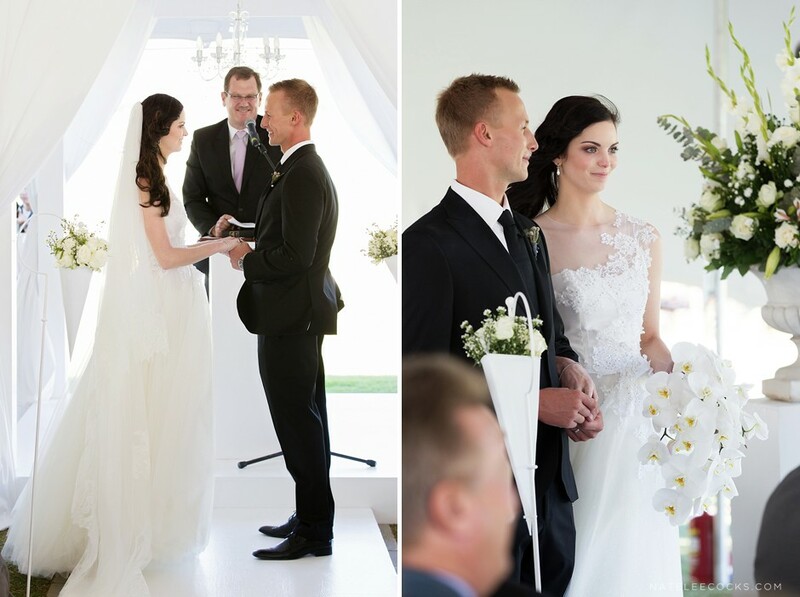 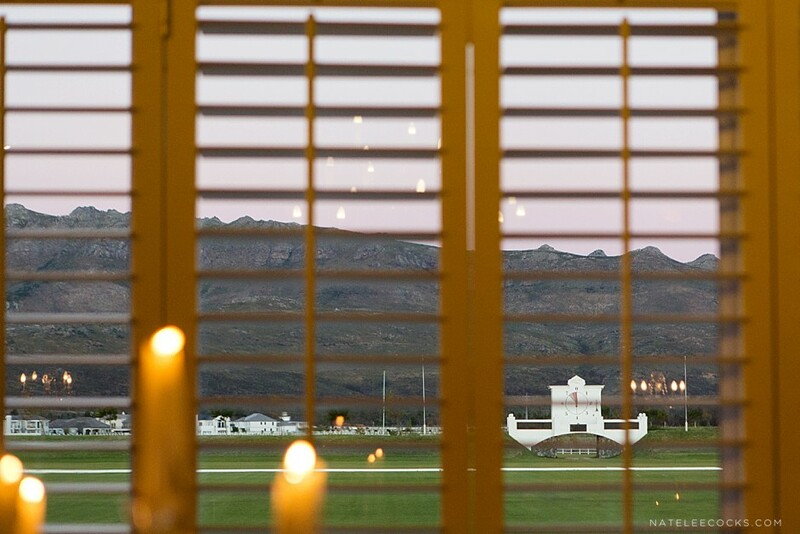 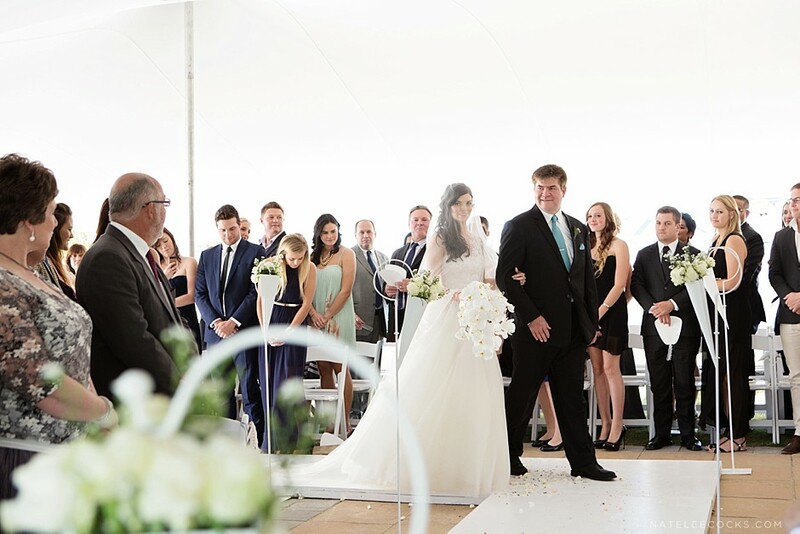 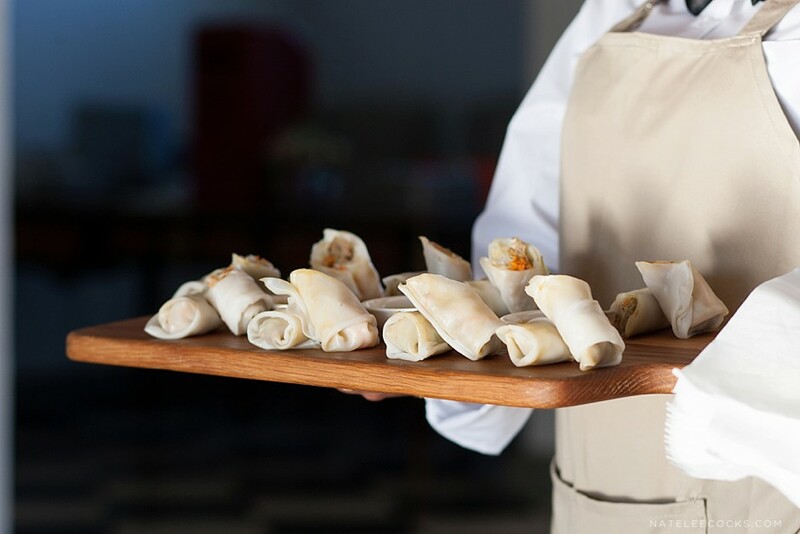 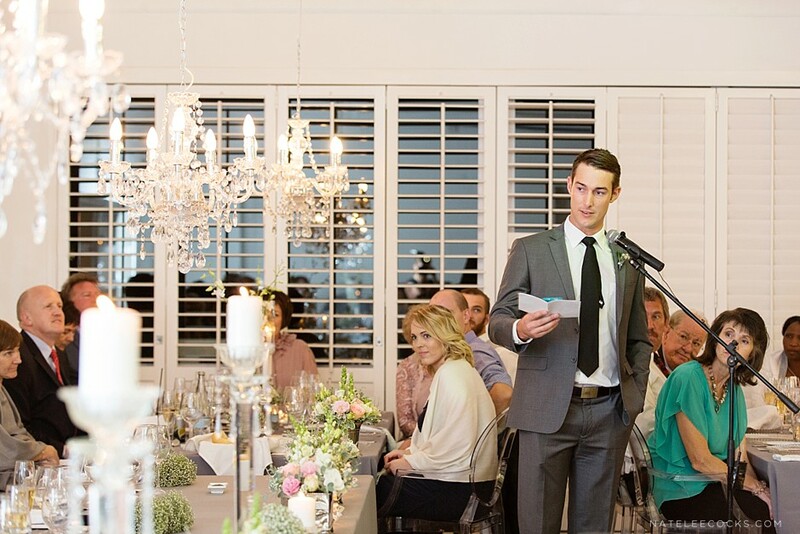 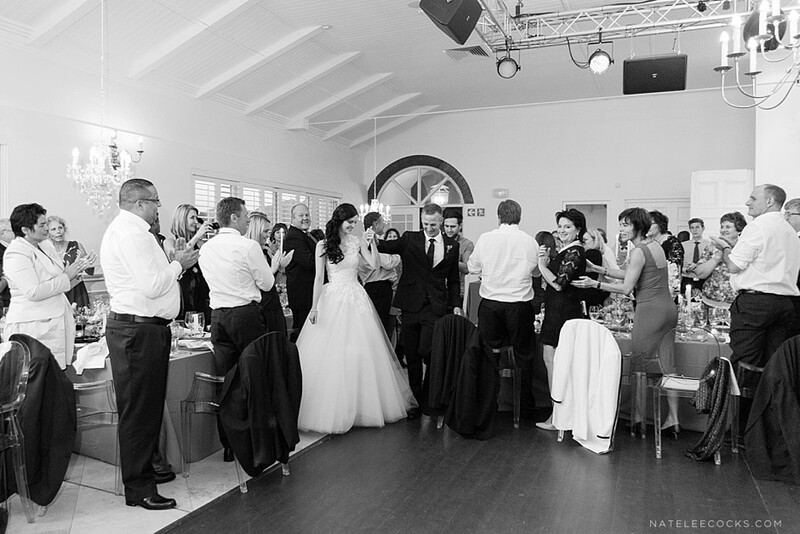 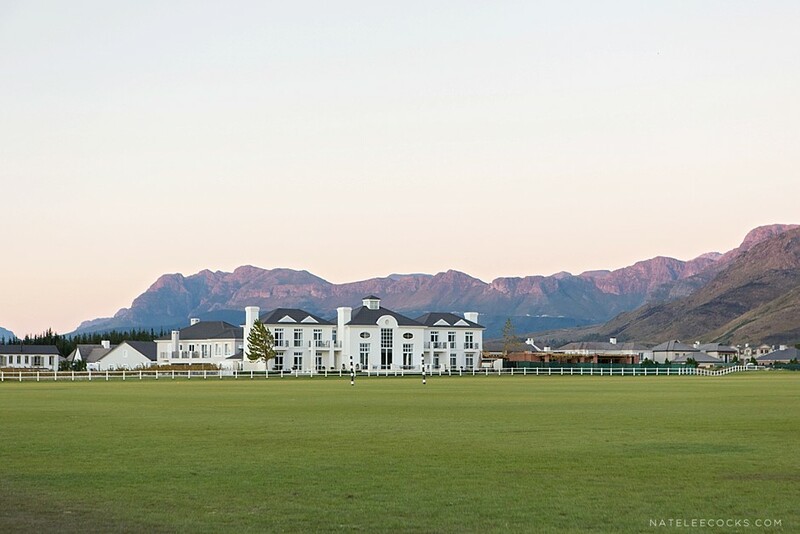 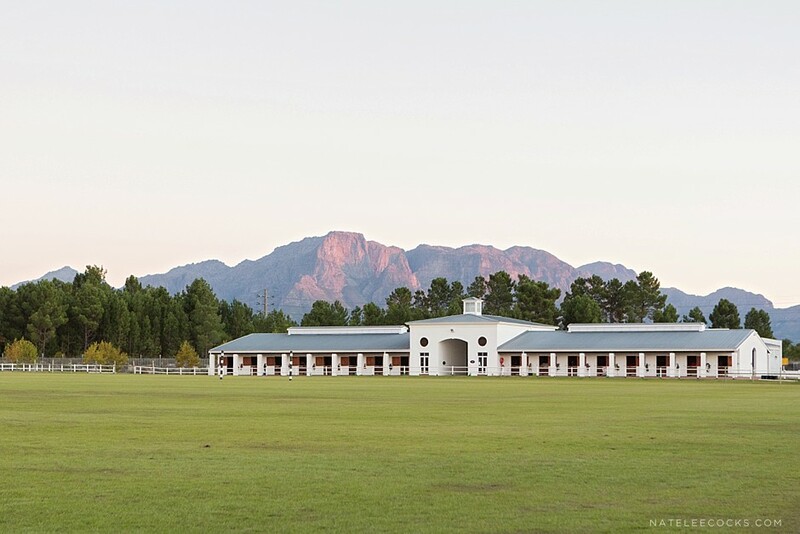 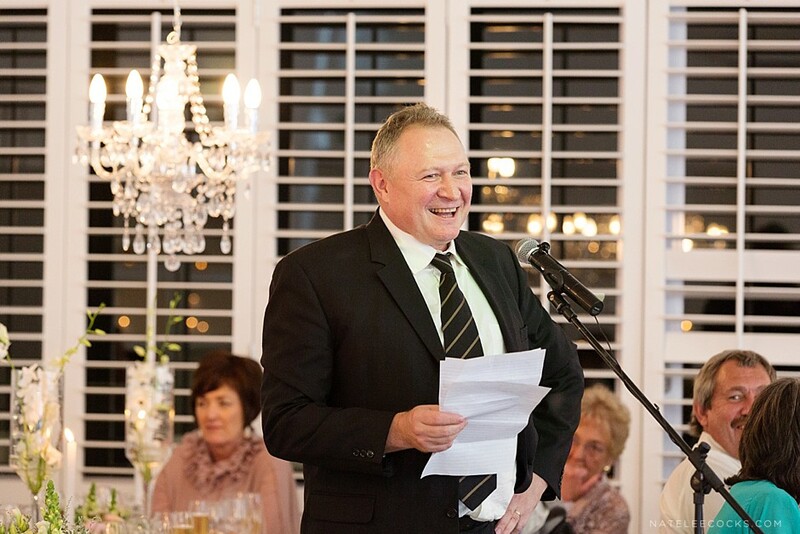 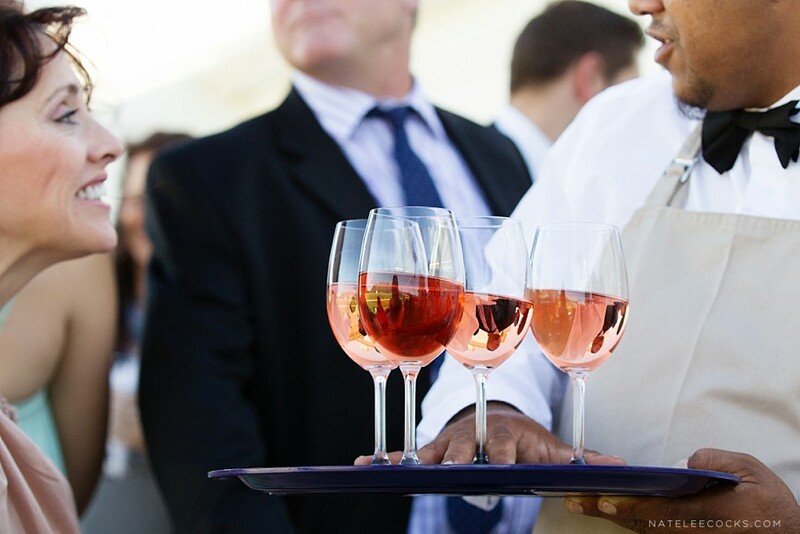 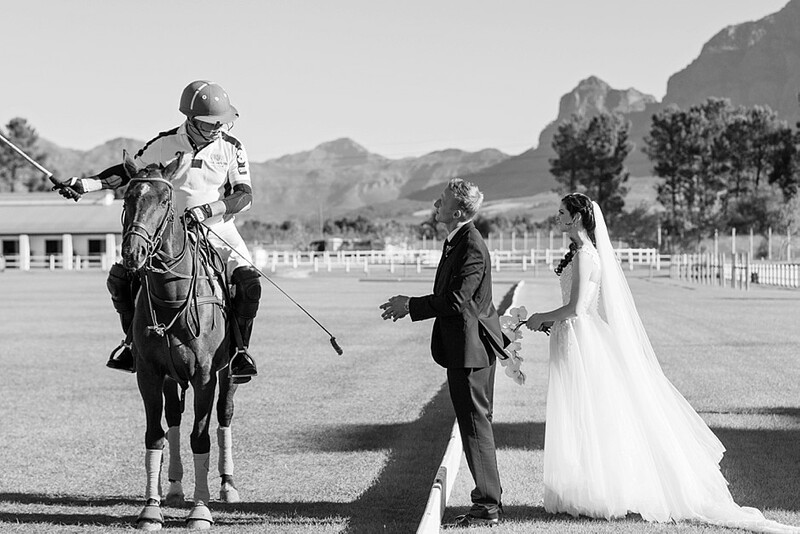 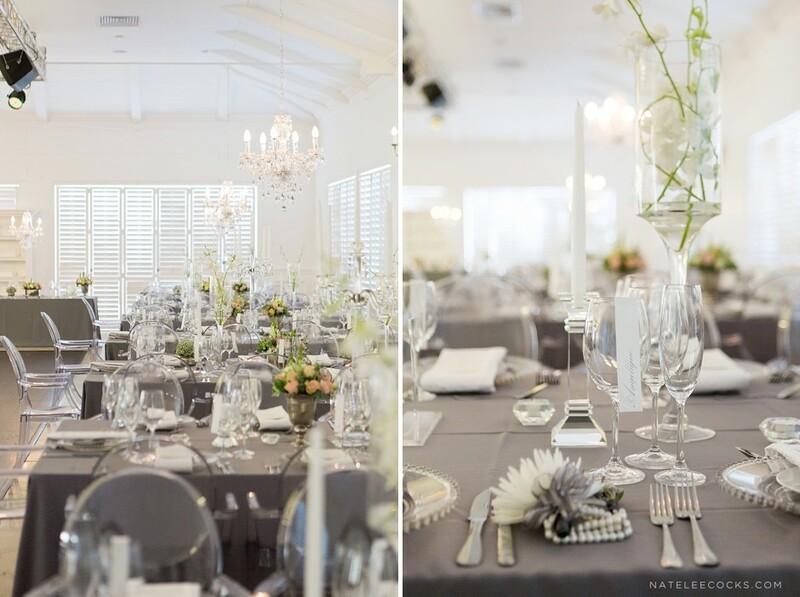 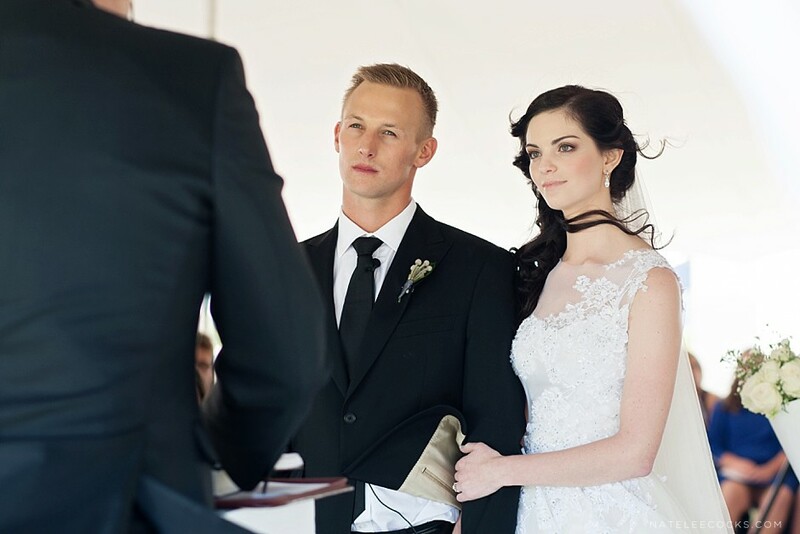 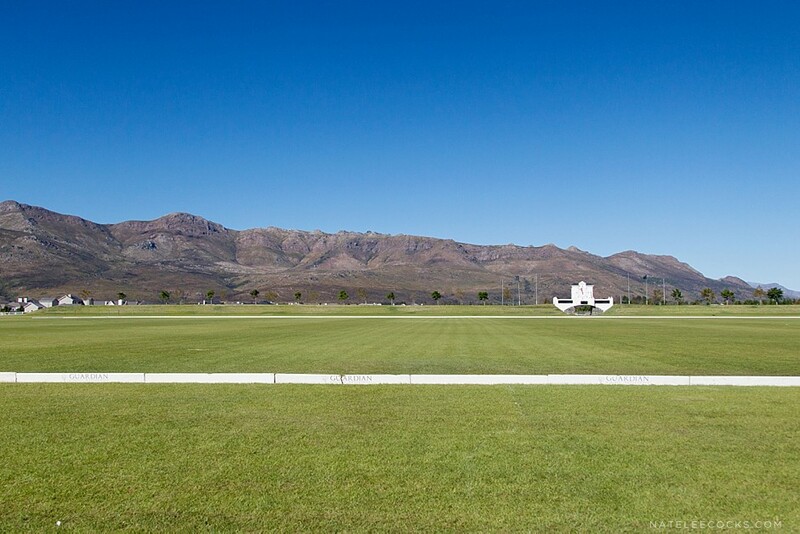 The ceremony took place under a white bedouin tent overlooking the polo fields and the Paarl mountains in the backdrop, followed by pre-drinks on Val De Vie’s beautiful veranda. 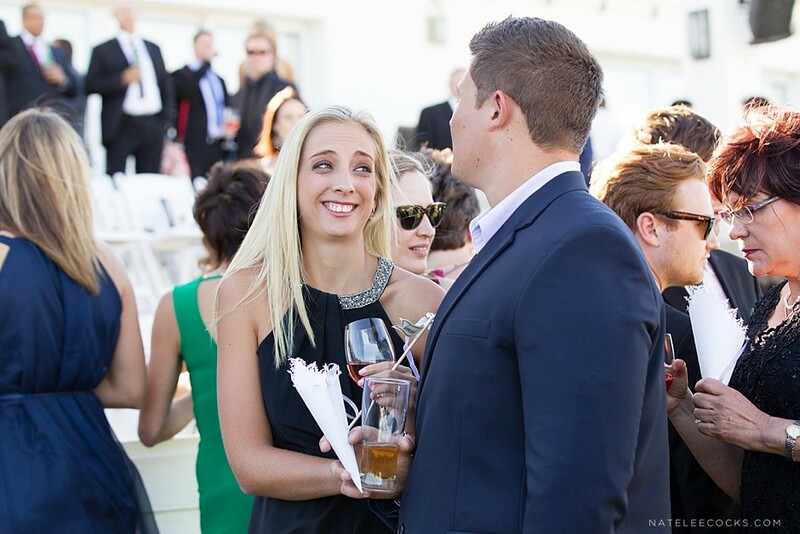 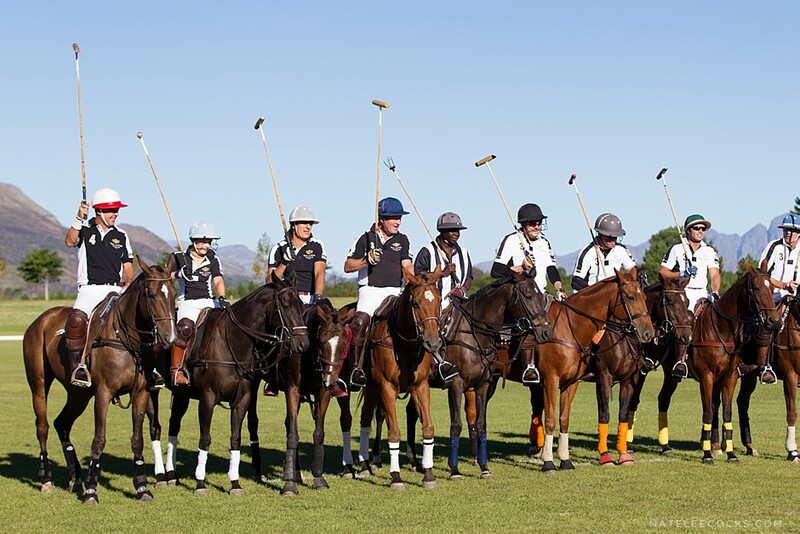 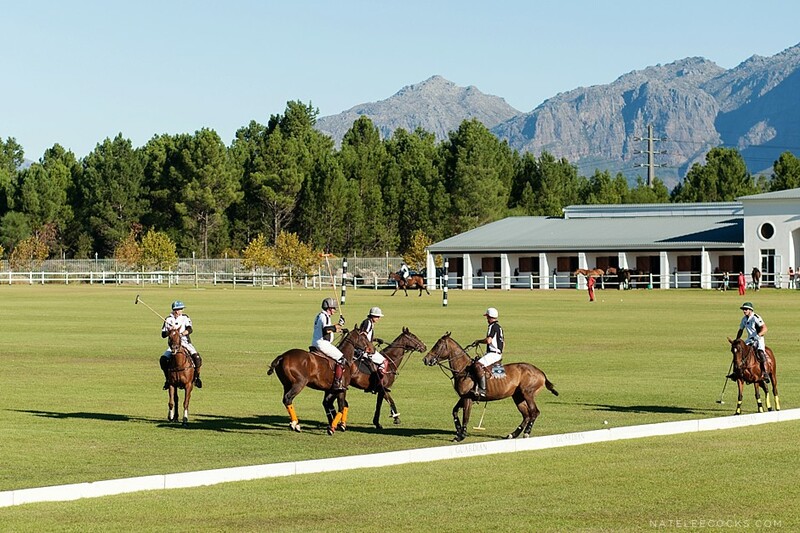 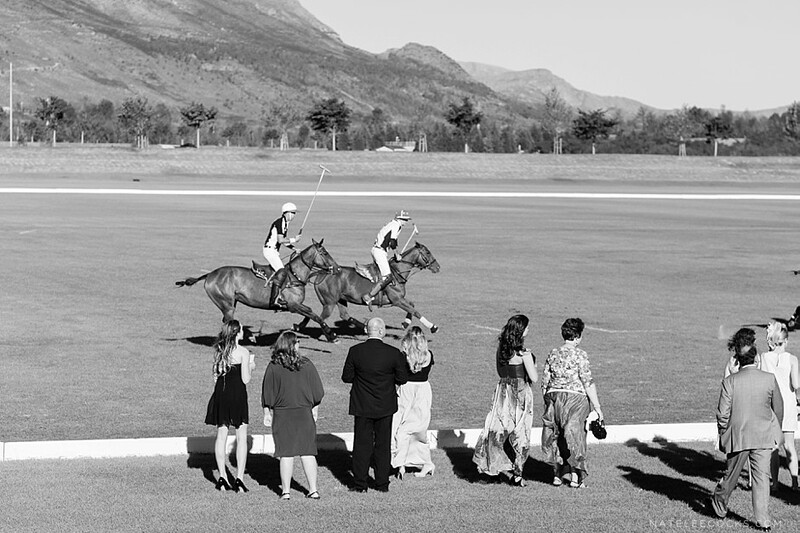 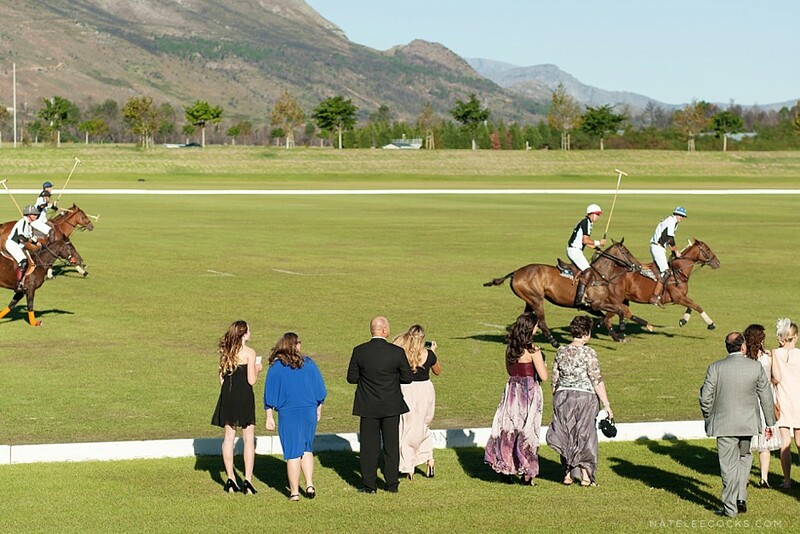 During pre-drinks the guests was surprised with a polo match while sipping on champagne and enjoying mouth watering canapés. 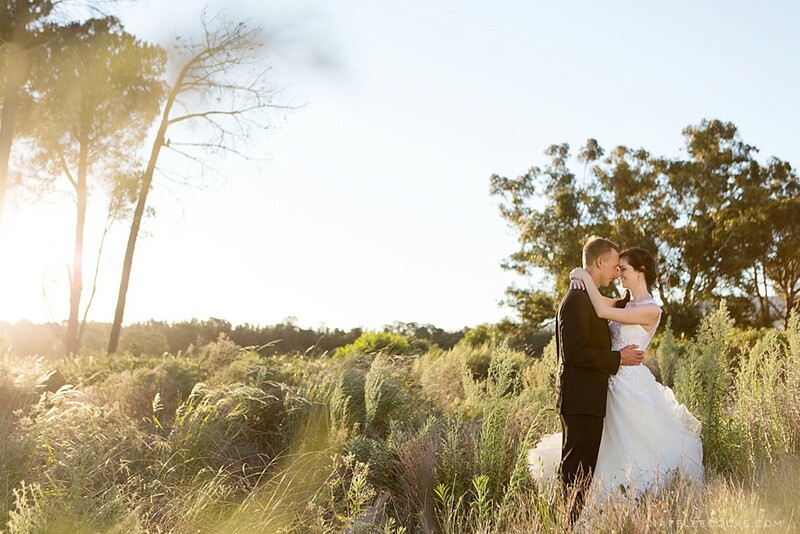 Kara & Dirk’s sunset couple shoot was perfect. 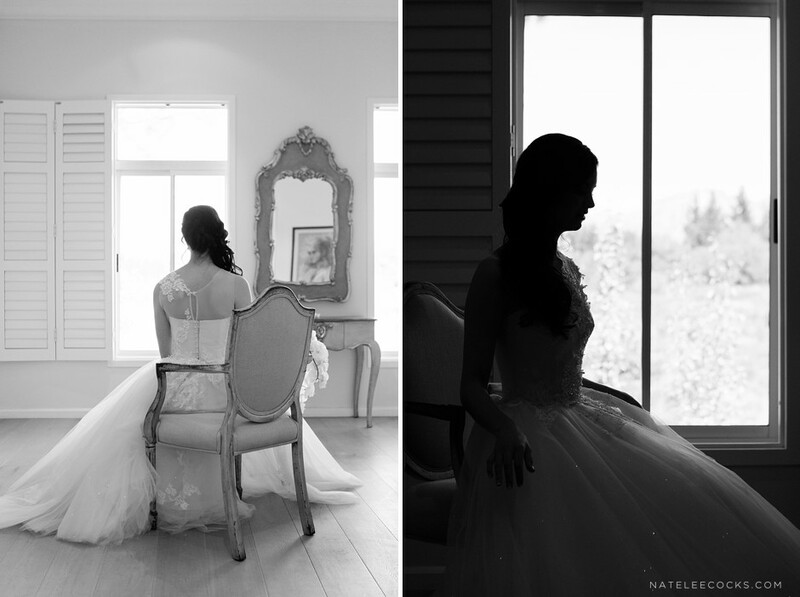 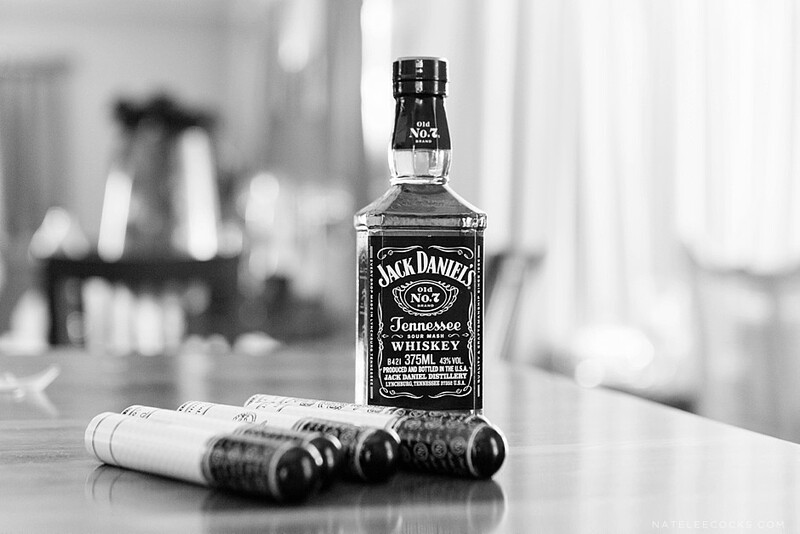 The light, location and everything came to together so well and I couldn’t get enough! 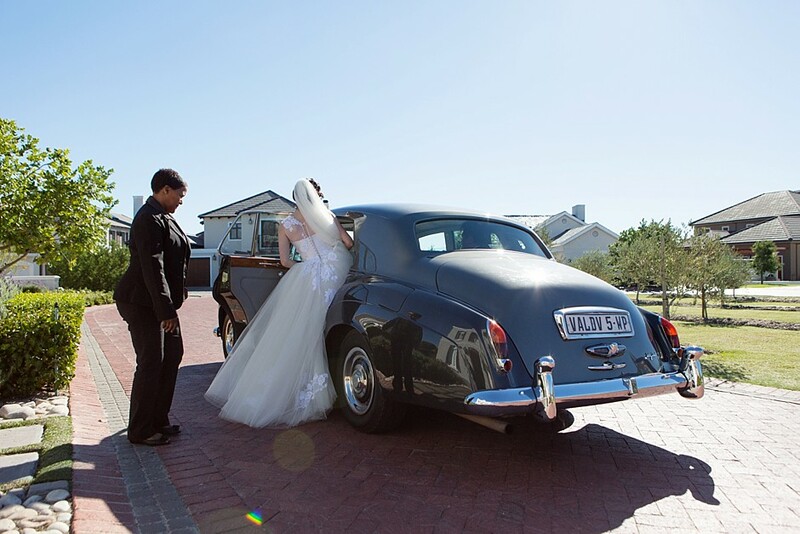 Afterwards the couple was chauffeured back to the venue in the venues vintage Rolls Royce, where the celebrations were about to kick off! 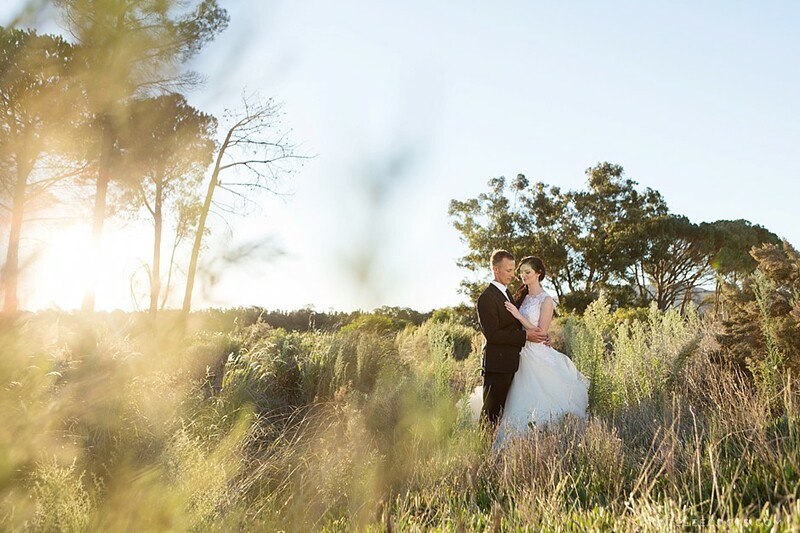 It was an absolute pleasure working with Kara & Dirk and couldn’t ask for a more suitable couple to have won this amazing prize! 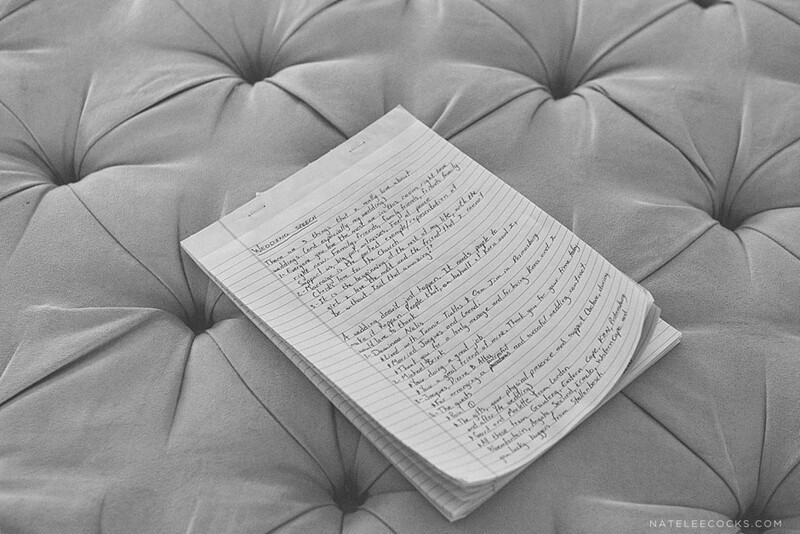 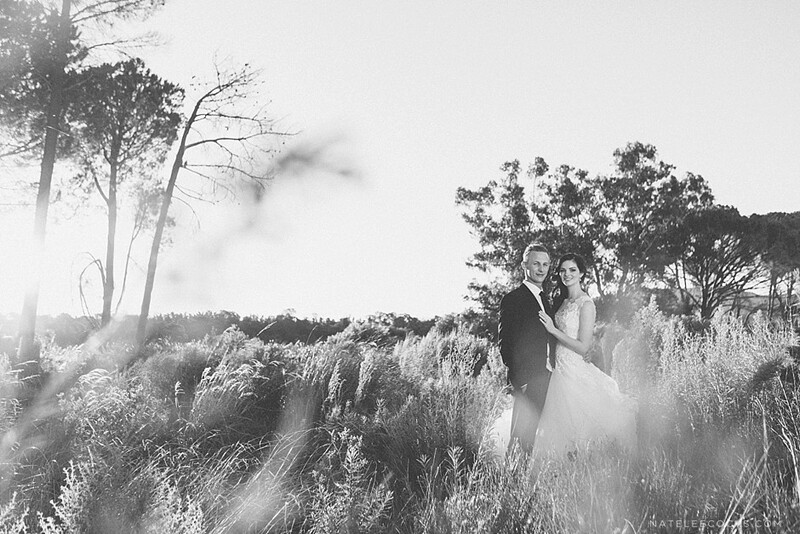 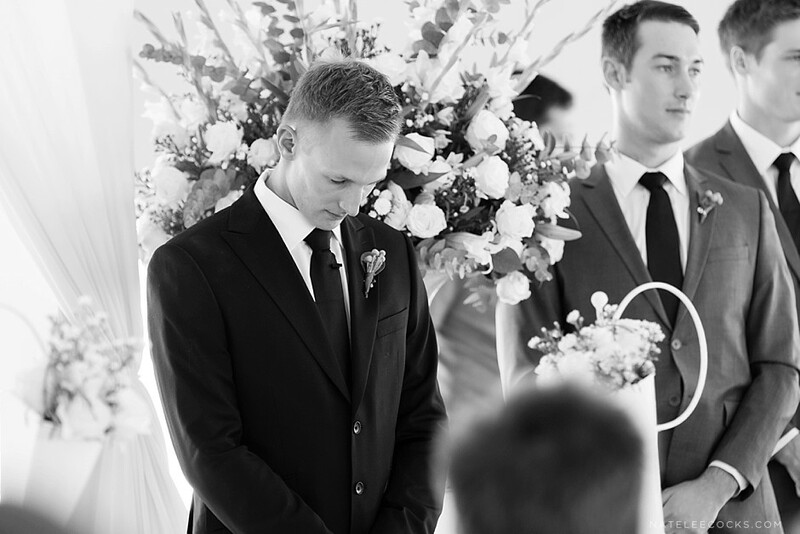 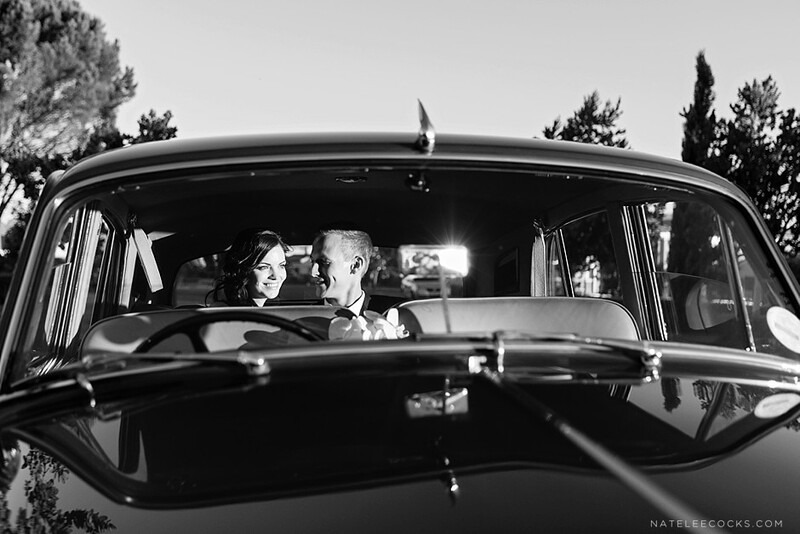 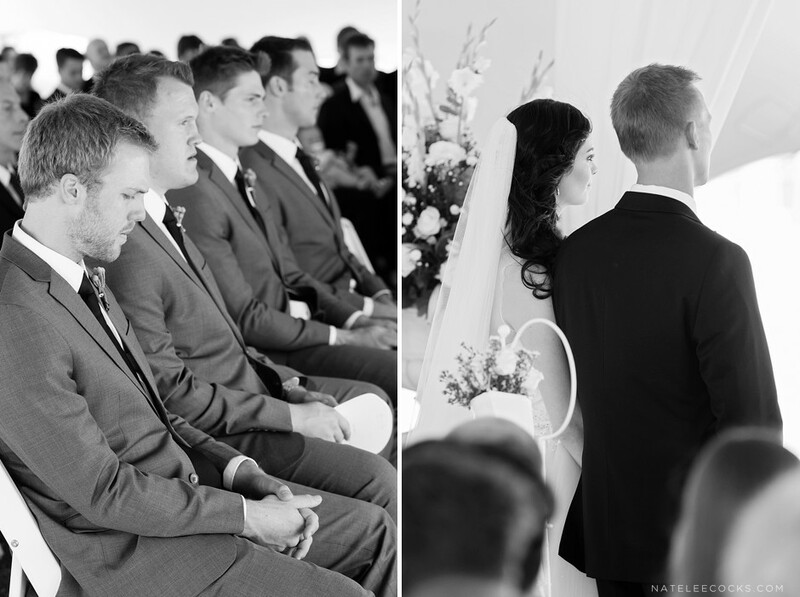 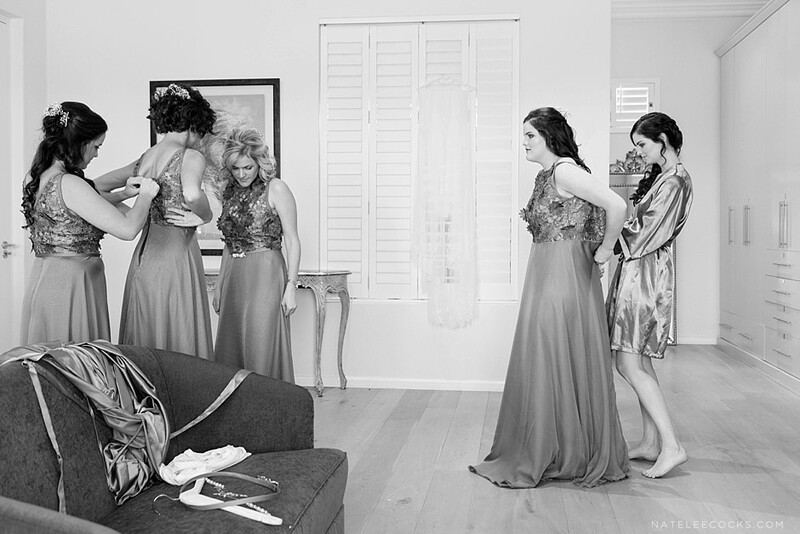 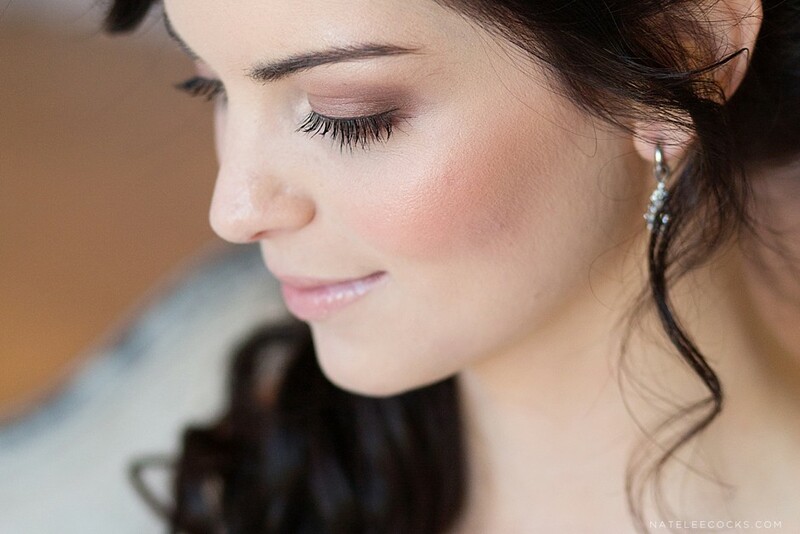 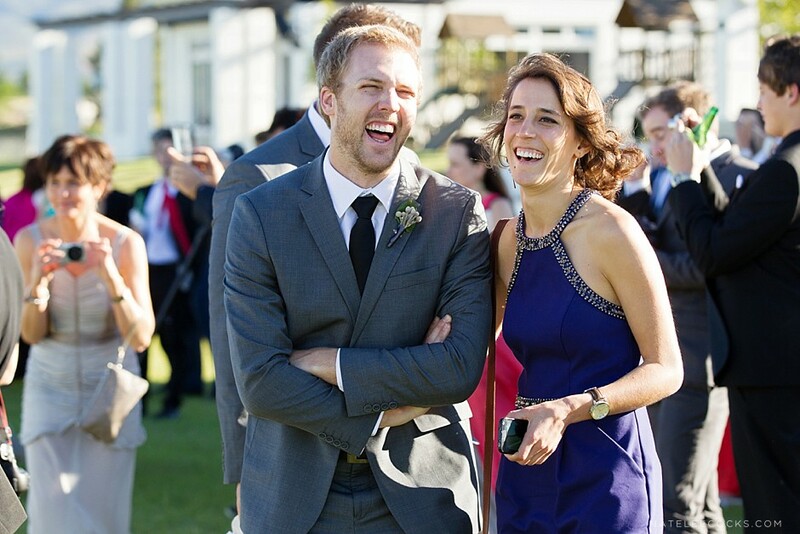 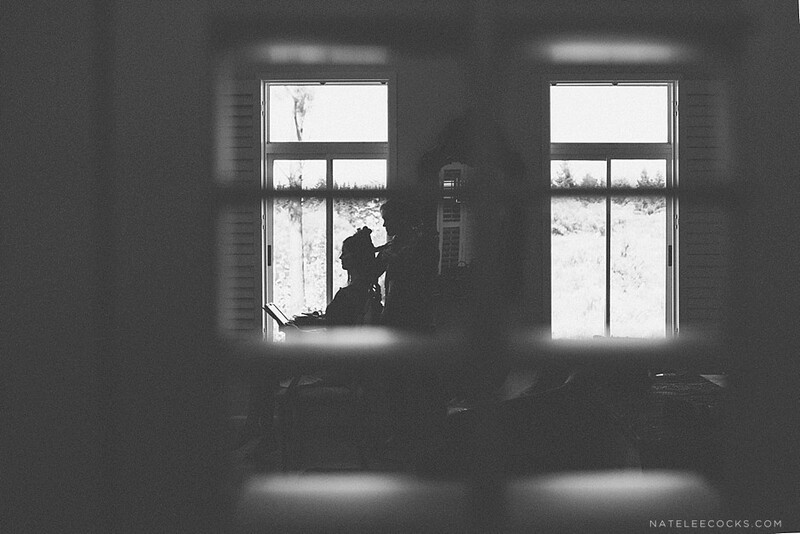 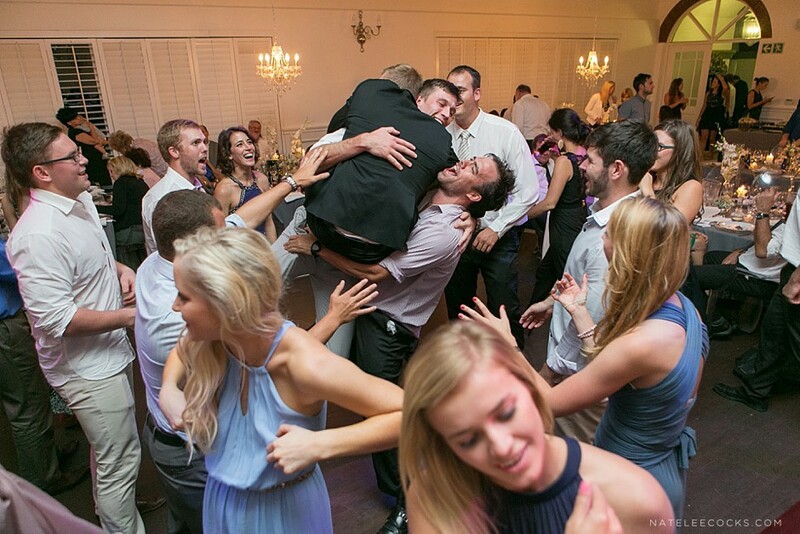 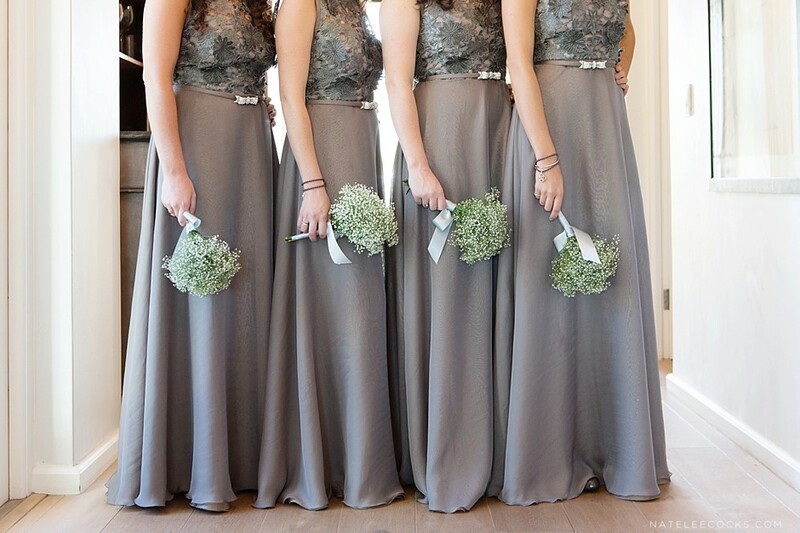 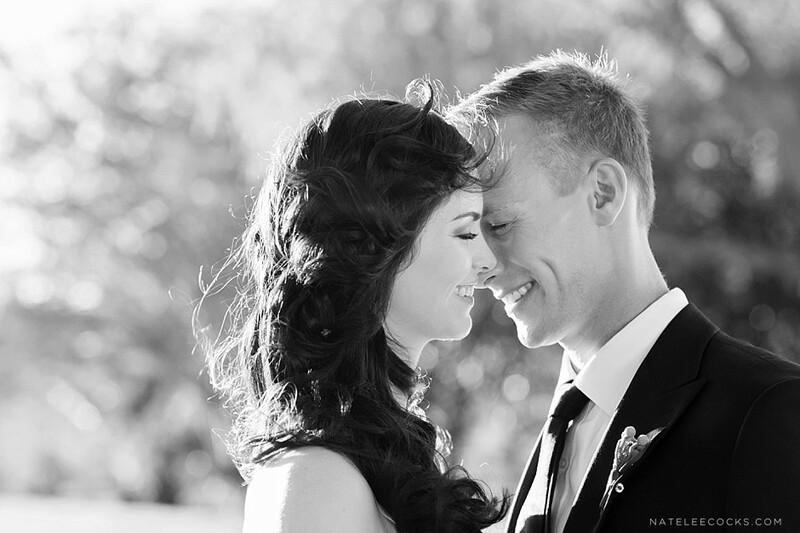 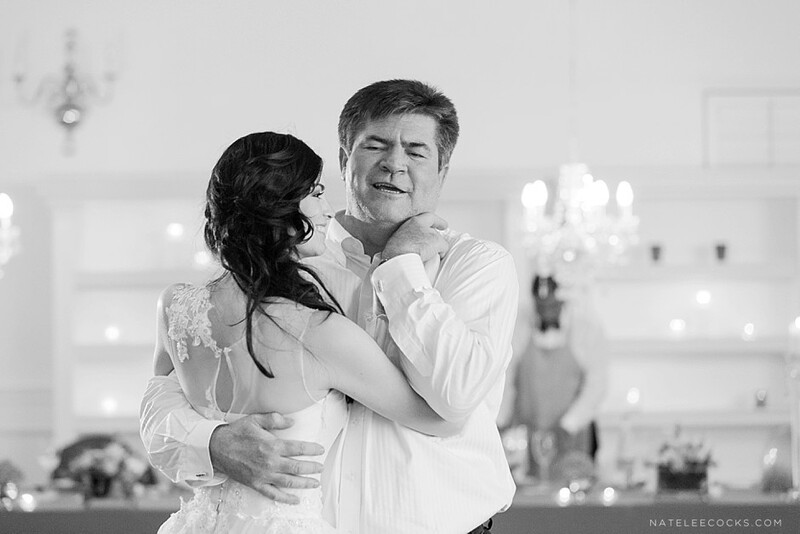 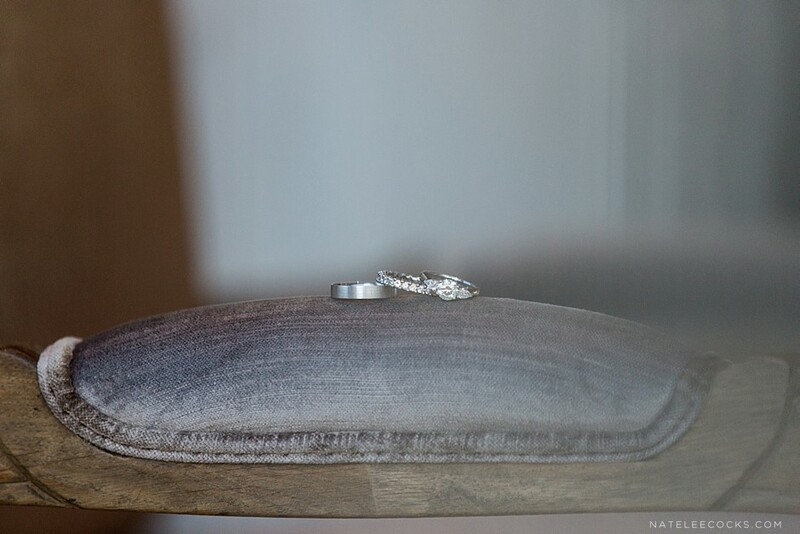 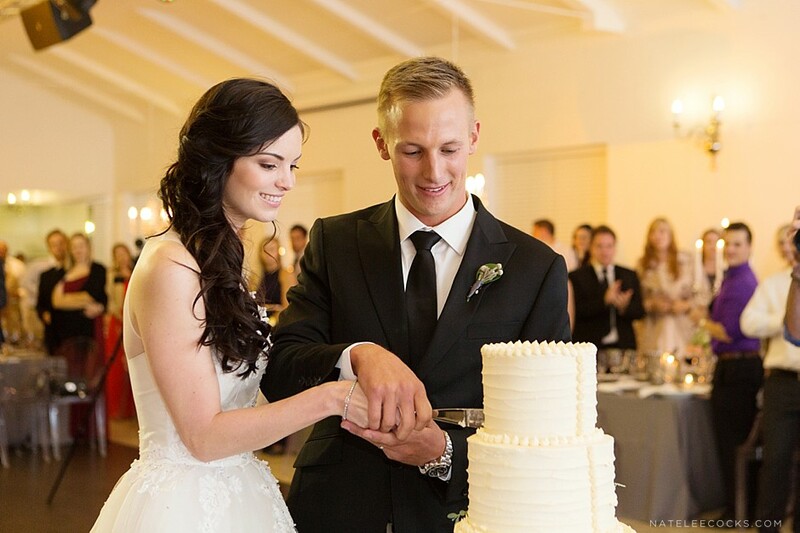 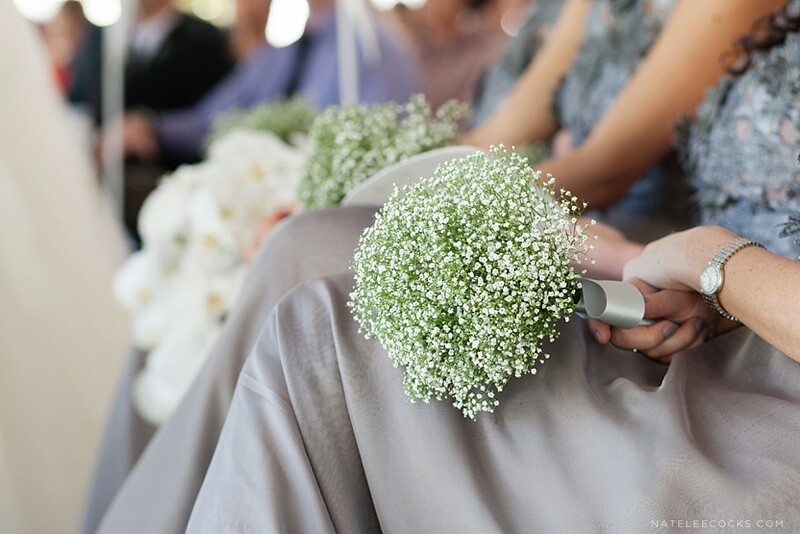 Be sure to watch Kara & Dirk’s wedding film by the amazing VISION ON FIRE.